This list has now closed and no further orders will be taken. 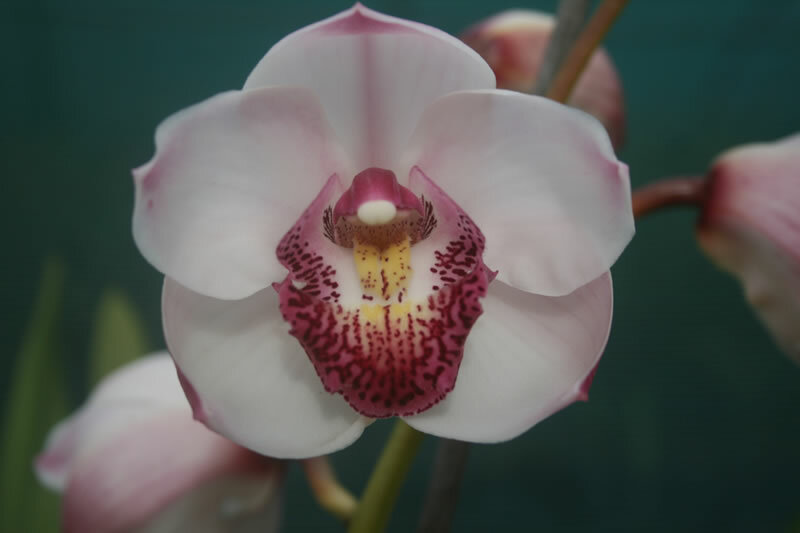 Welcome to the latest seedling flask list issued by Firetail Orchids. 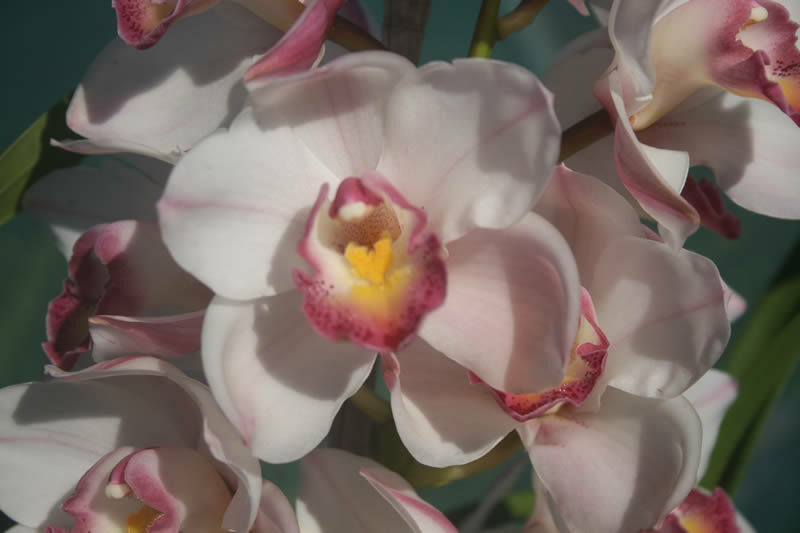 This List is made up of crosses from the 2016 flowering season. Pod retention and germination were good. We continue with our usual practice of including in the list crosses with a reasonable germination (15 to 20 flasks) and good germination (more than 20 flasks available). Some crosses with poorer germination have been included, always with an indication of flask availability. This list may well be one of our last lists as Trevor continues to battle the effects of Parkinson's Disease. Kevin Black continues in his mentoring role and we appreciate his help greatly. Please submit orders by e-mail. Preferably, all orders should be finalised by 30 April 2018. Flasks are not available "off the shelf". On receipt of a firm order, flasks will be prepared specifically to meet your order. We expect that all orders lodged before the closing date will almost certainly be available for delivery between August and December 2018 unless you are advised otherwise upon acceptance of your order. July/September. Pink. All three of these parents are great little plants, so to find any defects that are worth fixing requires nit-picking and quibbling. 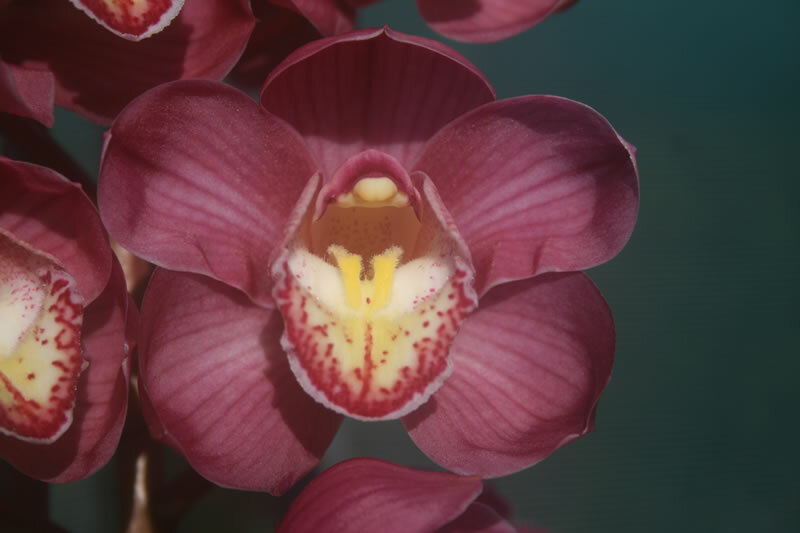 I thought that ‘Records’ might have a tiny defect because its blooms are not quite out above the foliage. These crosses represent two ways to alleviate that – ‘Taylor’ contributes smaller foliage and ‘Reggie’ contributes taller stems. 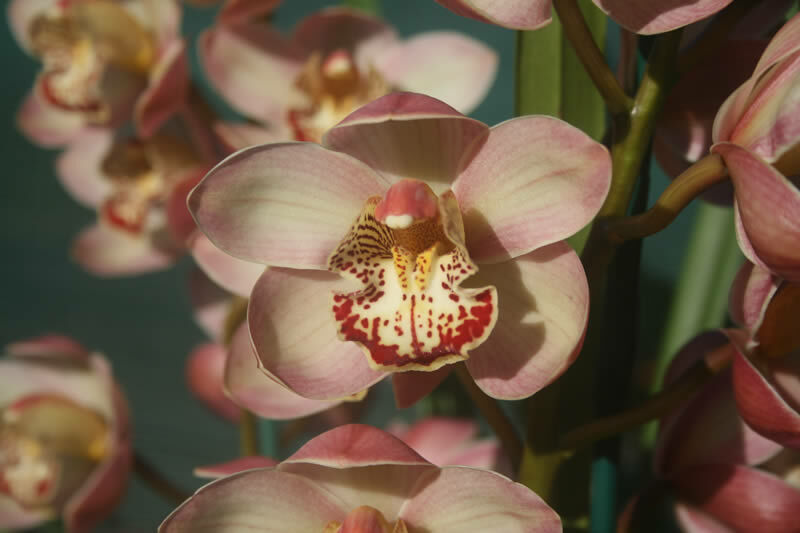 In both cases we expect plenty of pretty blooms of surprisingly good shape for blooms this small. April/July. Green. 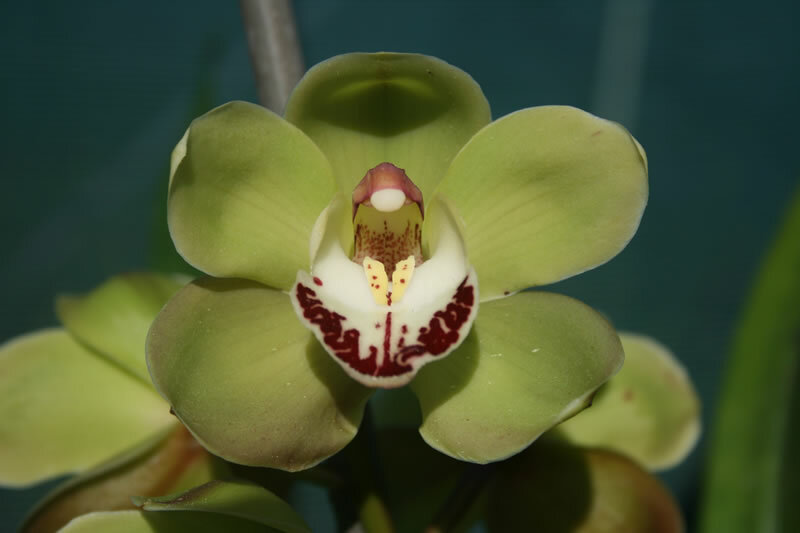 For a cymbidium to have green blooms as early as the first half of April is very rare. However, for more than a decade, this is what ‘Birthday Boy’ has done reliably. 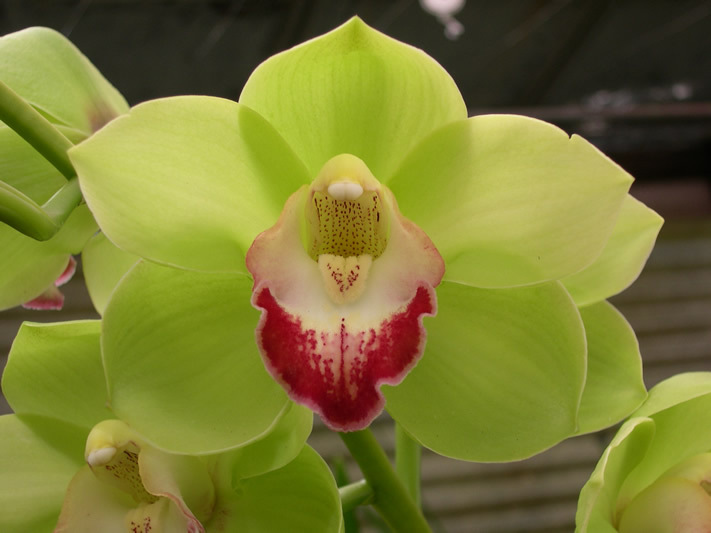 In this cross ‘Lola’ brings great shape and clear colour. 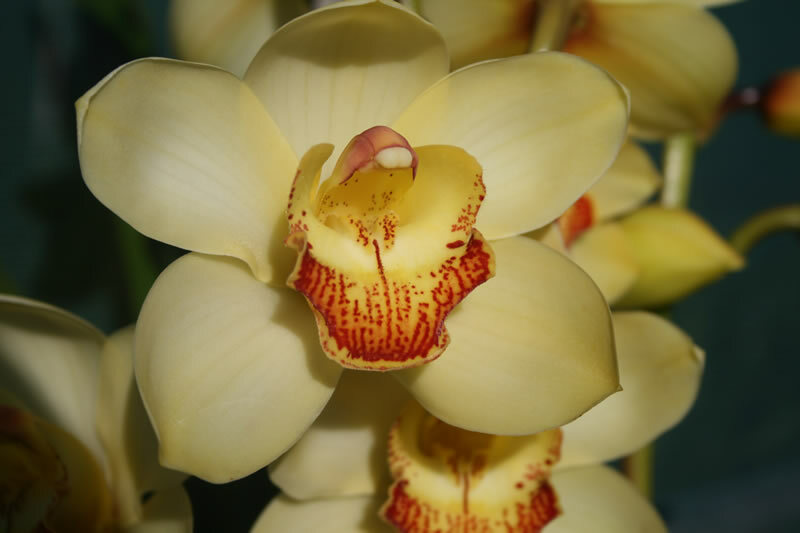 All progeny will flower profusely, and most will flower in May and June. May/June. Orange. We hold ‘Chloe’ in high regard – it is one of our Mother's Day production mericlones. 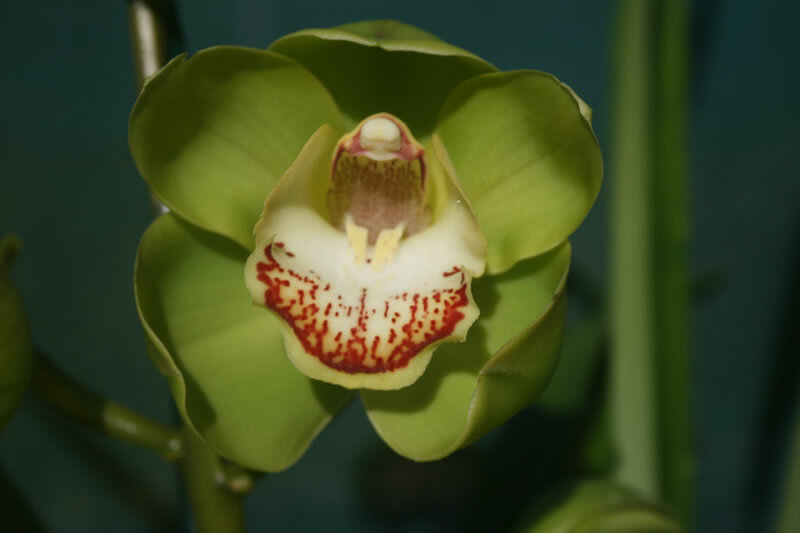 For many years we have been saying that because ‘Chloe’ has parents of better shape it will produce progeny with better-shaped blooms than itself – ‘Baby Khan’ used in H 07 is recent proof of this theory. 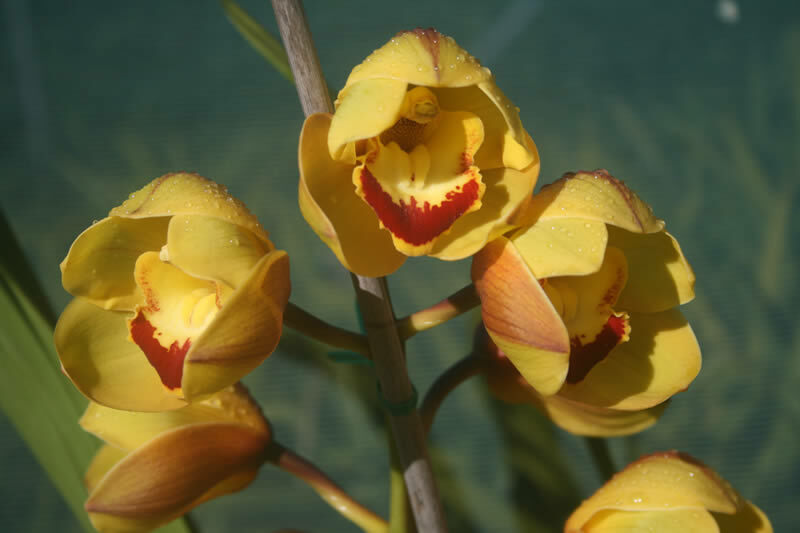 Crossing a yellow with a brown is a reliable method of producing vibrant orange progeny, particularly with these parents that have already been successful with this method. Like the vast majority of our crosses, these will be fast growing and free flowering. May/June. 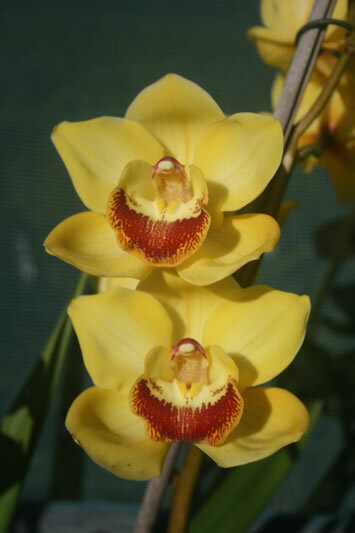 Alba Yellow. ‘Cameron’ is another of our Mother's Day production mericlones. 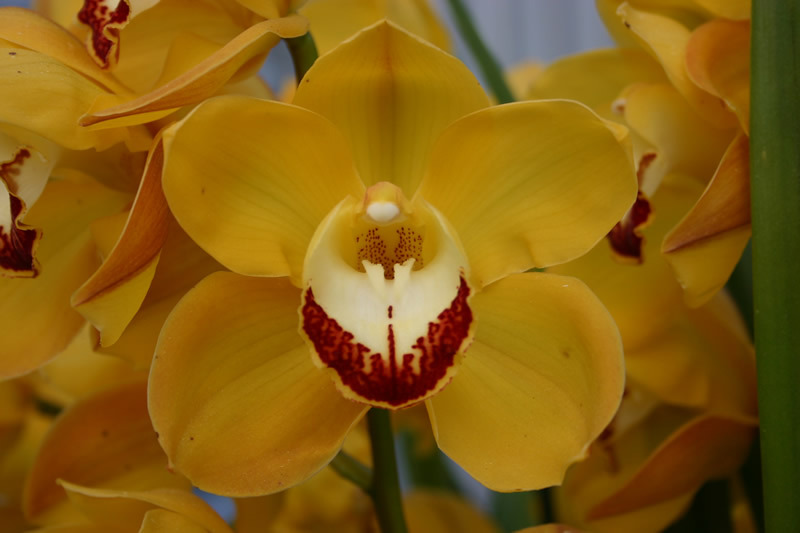 We expect fast growing and free flowering plants with intense golden blooms at the upper end of the intermediate size range. 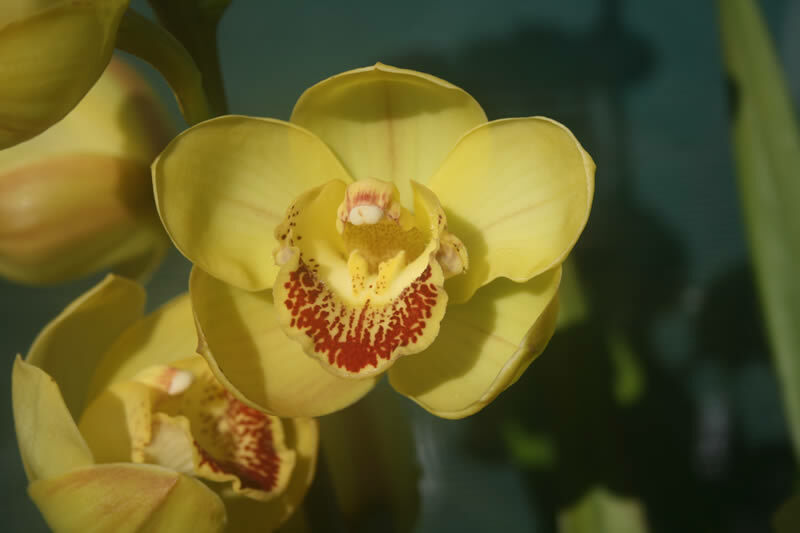 Like H 03 and H 04 this cross uses a plant that flowers early to drag superior mid-season qualities forward in the season. May/June. Orange. 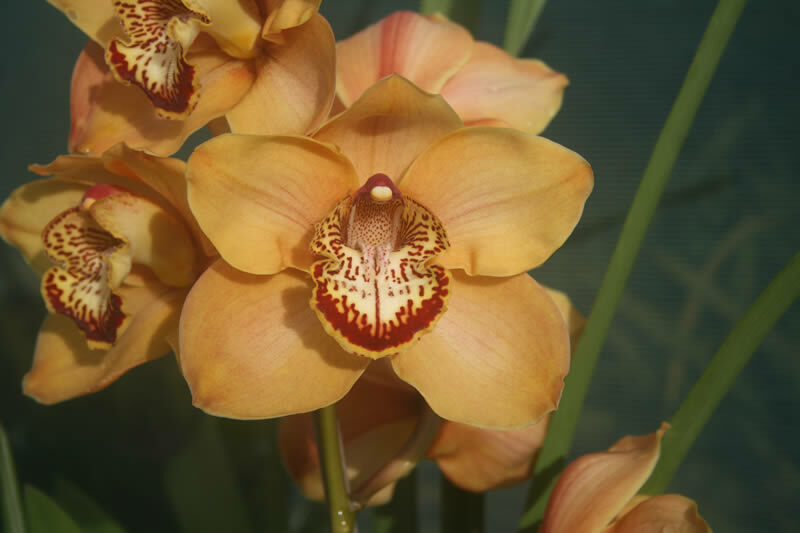 Aviemore is a grex registered by McBean's Orchids of the United Kingdom in 1982 and ‘December Orange’ is still for sale on their website. In the southern hemisphere we can think of it as being named June Orange. 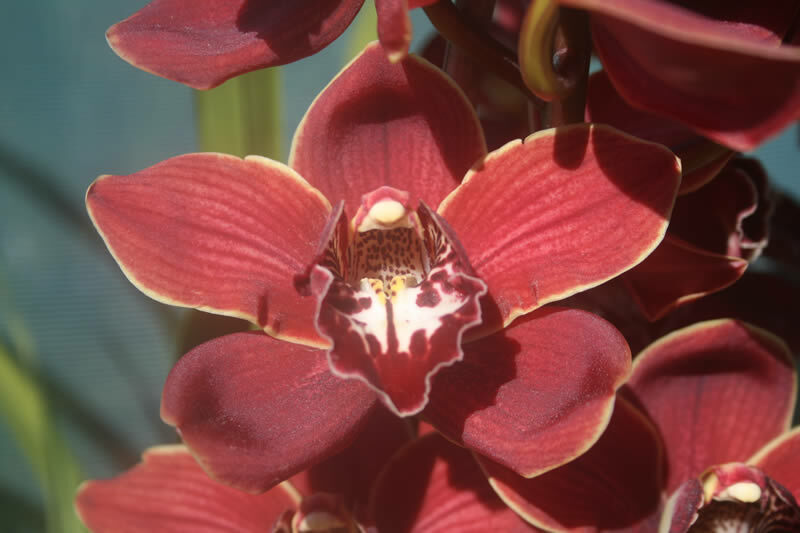 Sorry – we keep forgetting to take a photo when the blooms are at their best. 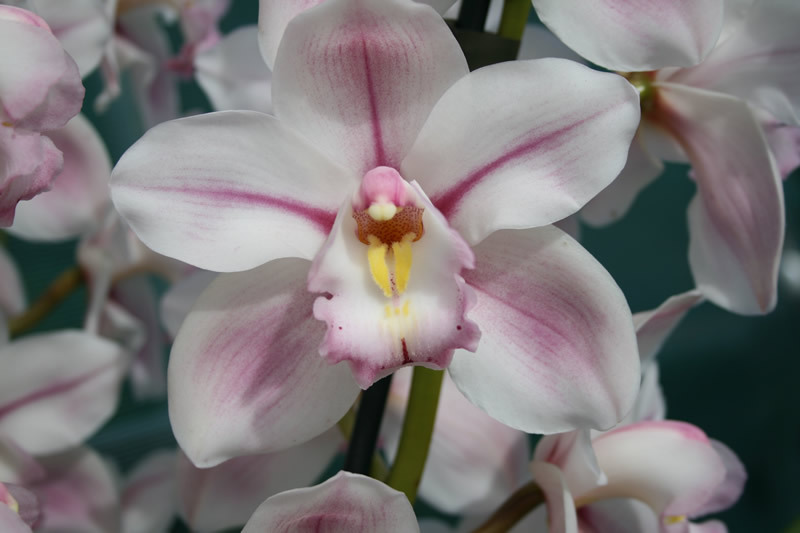 We think that ‘Tyrone’ will add height in the stem below the bottom bloom, lifting the blooms a bit higher out of the foliage. May/June. Polychrome. ‘Baby Khan’ gets its name because it looks a lot like a smaller version of the famous Cronulla ‘The Khan’ (we estimate that there are more than one hundred registered grexes with Cronulla in the parentage). 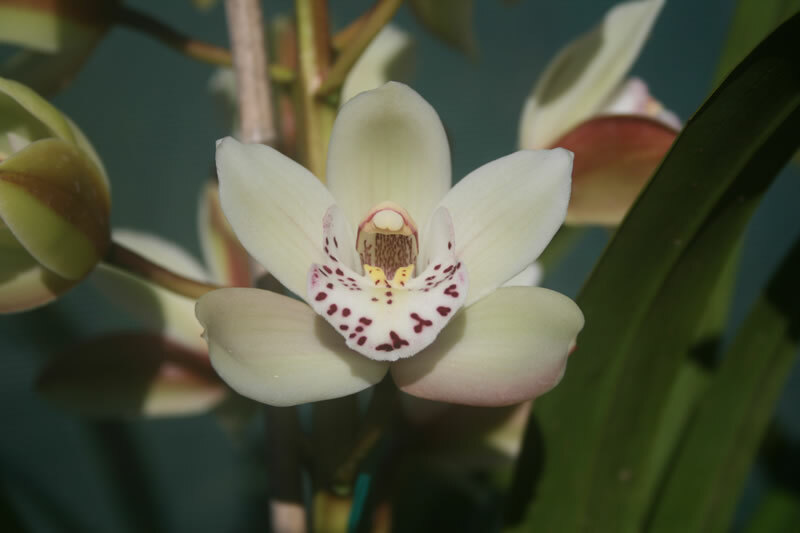 ‘Baby Khan’ was shown for the first time at the June 2017 meeting of the Cymbidium Club in Sydney and was judged as the champion seedling of the month. 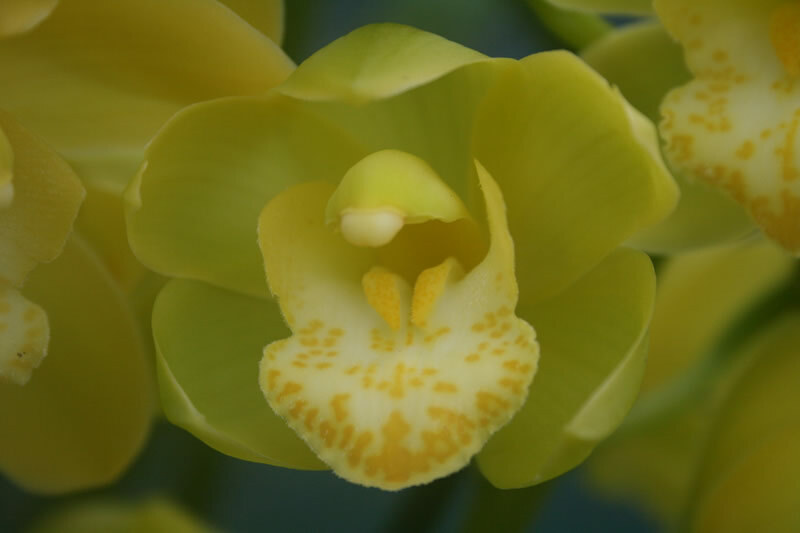 Like its sibling in H 06, it will tend to lift the blooms higher out of the foliage, but we think its progeny will have more shapely blooms. June/July. Orange. 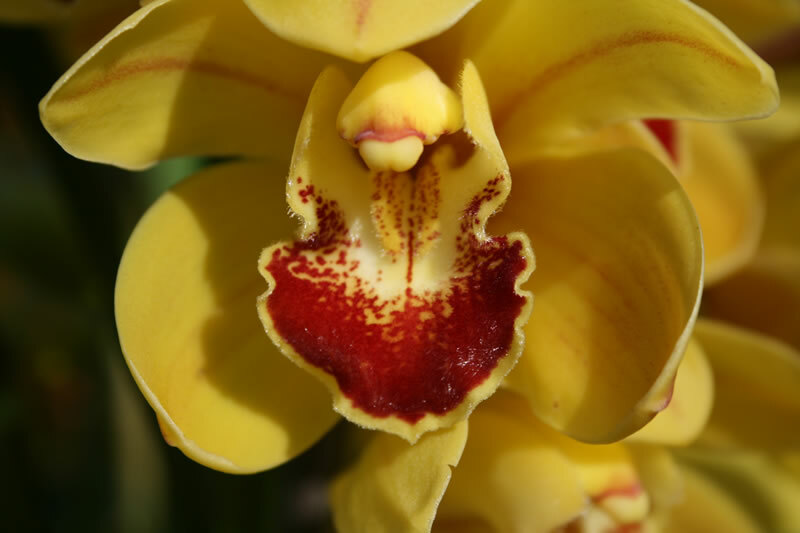 A colourful outcome expected with plants that grow quickly and flower readily. July. Orange. 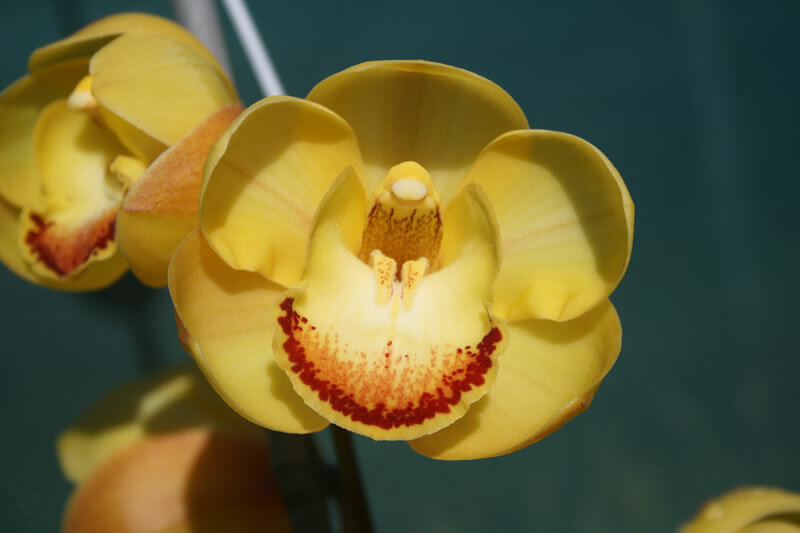 ‘Game Changer’ was an unexpected alba from a cross expected to yield only plants with orange blooms, so we expect that here it will not significantly dilute the superb shade of orange in the ‘Tango’ blooms. 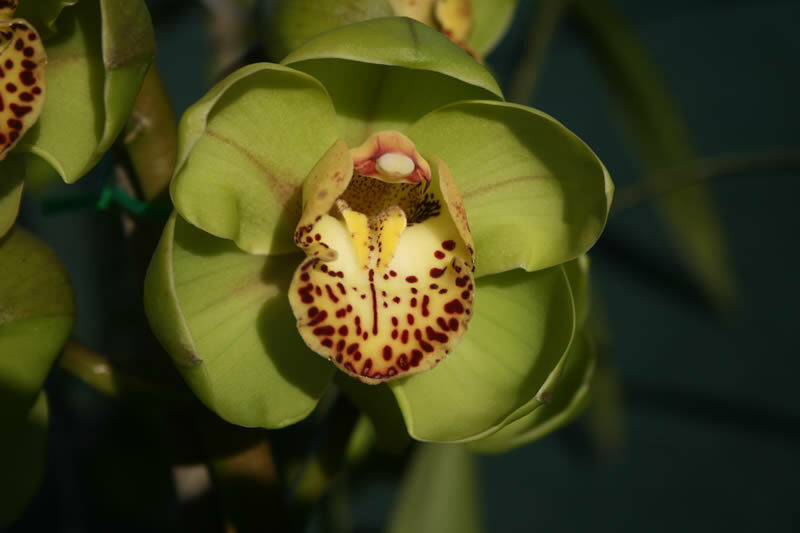 Of course, they will grow quickly and flower readily on good stems above the foliage. July/August. Pink. 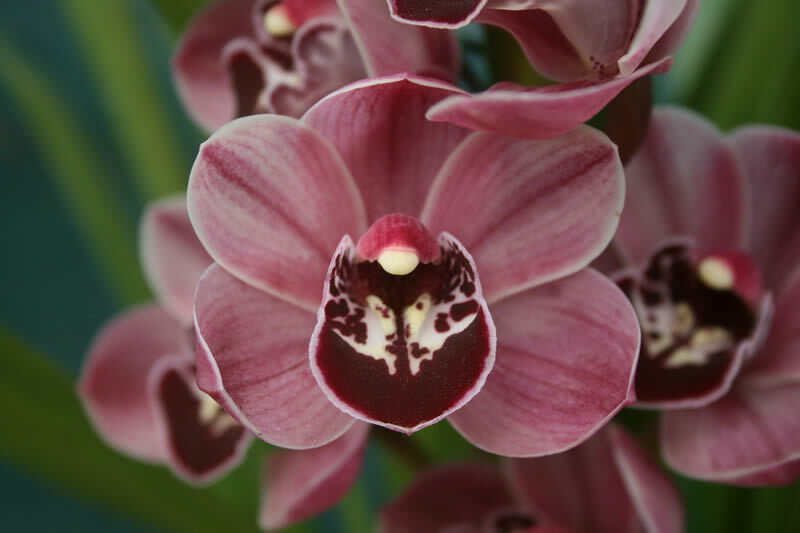 We confidently expect good dark pink colour, tall stems, good stem and bloom counts - the whole package, really. July/August. Pink. 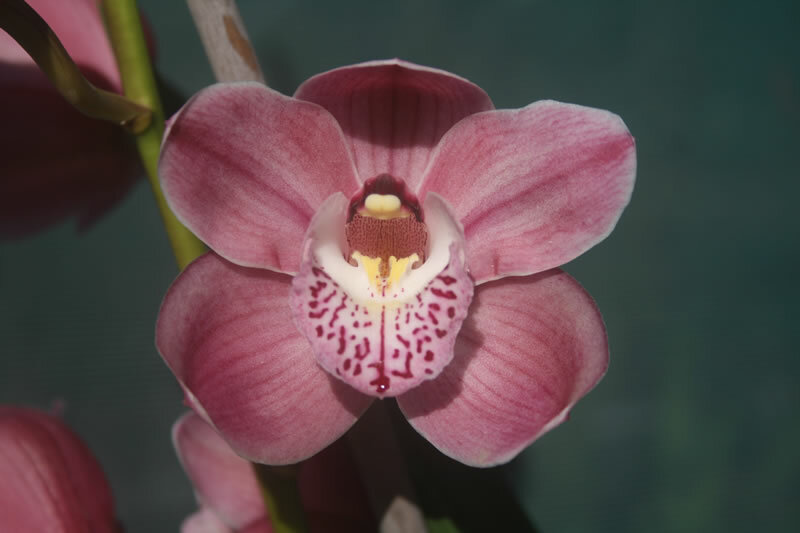 Many similarities to H 10 but ‘Jailhouse’ has blooms of softer pink and better shape. July/August. Pink. 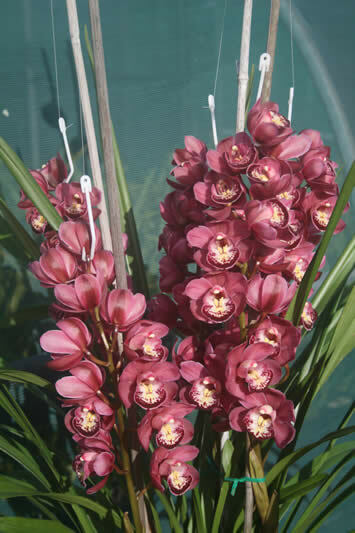 Of course, also similar to H 10 and H 11, but ‘Bernadine’ has blooms of mid-pink and foliage that is more compact. 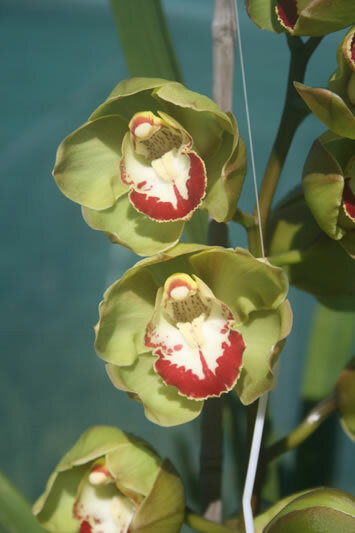 All three crosses are expected to grow quickly and flower readily. July/August. Brown. In recent flowering seasons we have been very impressed with results from earlier crosses using ‘Cambewarra’ . 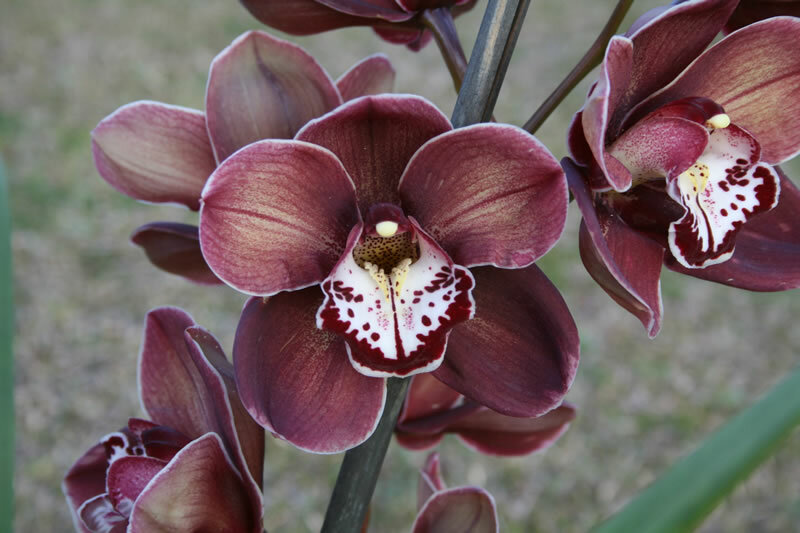 ‘Heartbreaker’ is a good colour match to produce the chocolate brown shades that we seek, and it has the taller, stronger stems that are also desirable. 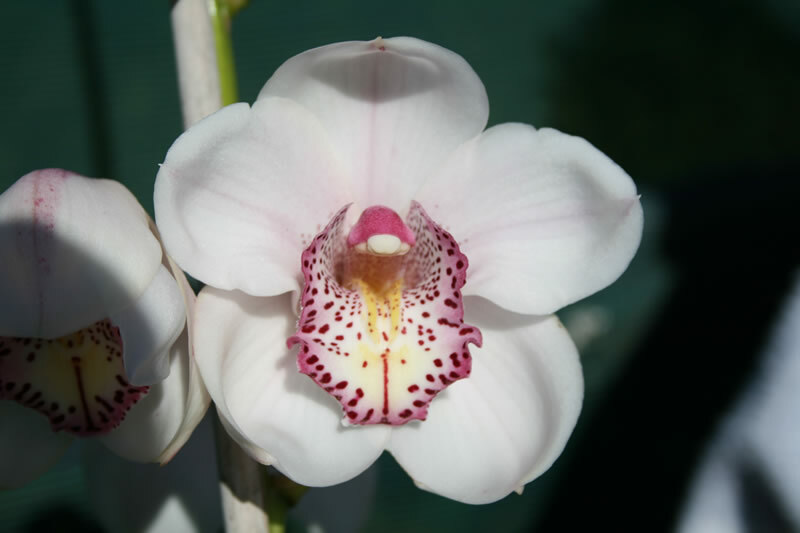 Earlier results also guarantee that these will also grow quickly and flower profusely. August. White. Kevin Black used ‘Stevie’ to produce the peerless Pearly Gates ‘Angel’ . 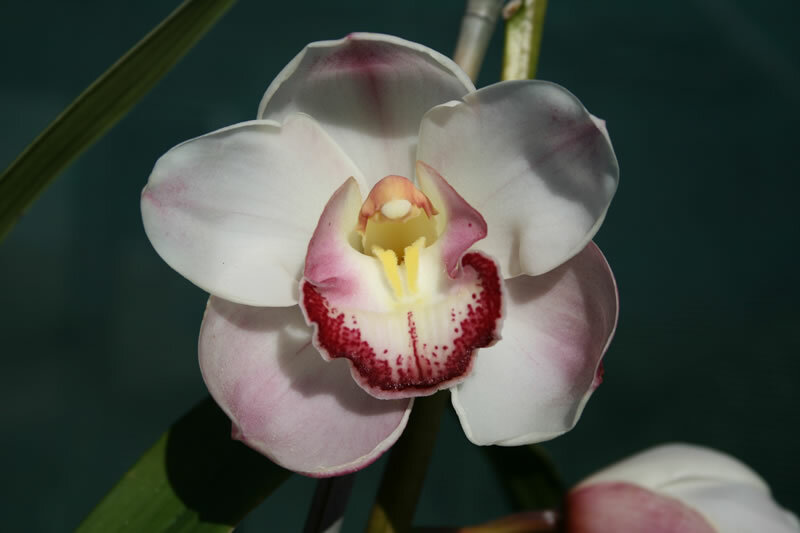 Here it is paired with ‘Vanity’, a superb Bryant's white used extensively by the cut stem industry. 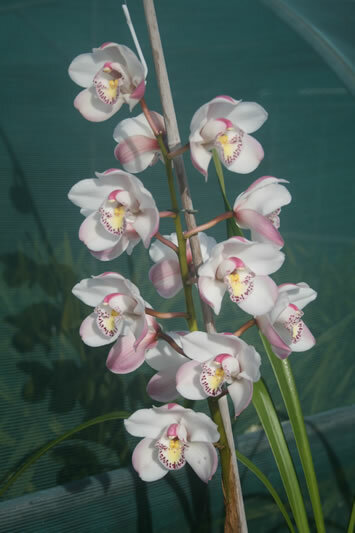 Again, quick to grow and will flower easily. August. White. Here we expect a result not dissimilar to H 14 because ‘Stevie’ is one parent of ‘We Wonder’, but the plants will have somewhat larger foliage, taller stems and larger, more shapely blooms. August. Pink. Two very good late pinks – not much more can be said! Yes, you guessed it - they will also grow quickly and flower readily! August/September. Yellow. 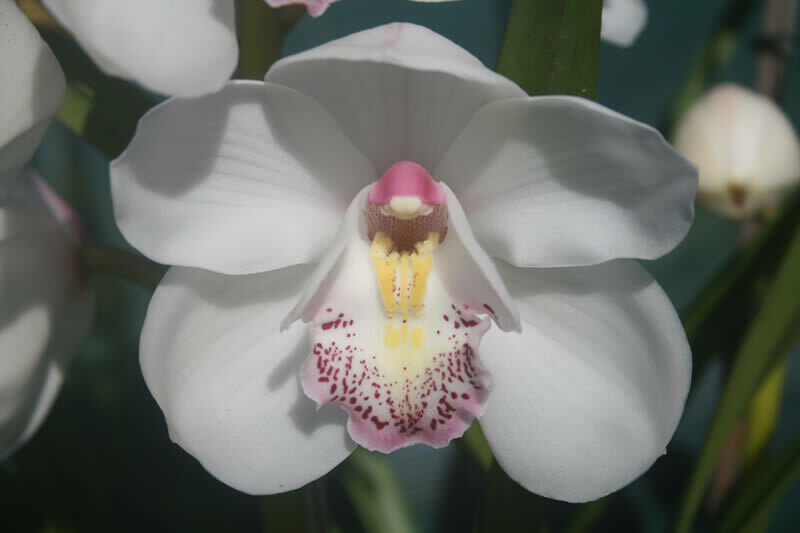 We think ‘Sandy’ has a great little bloom which features a perfect labellum. If we quibble, the blooms are spaced a little bit too far apart (‘Millie’ is a bit too bunched). These will have vibrant colour and the best may well do well on the showbench. April/June. Splash White. ‘A Sense of Self’ has been named for the award winning Australian journalist (now retired) and refers to her TV Documentary about her Parkinson's Disease diagnosis. Here is a link to the Liz Jackson documentary on YouTube. 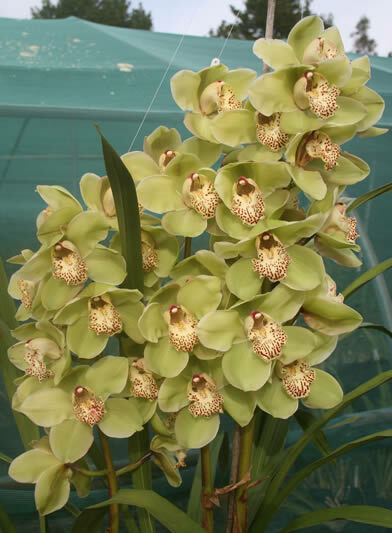 We plan to prepare mericlones of this cymbidium for sale in due course. We have pods of further crosses nearly ready to be sent to the laboratory for our next flask list. 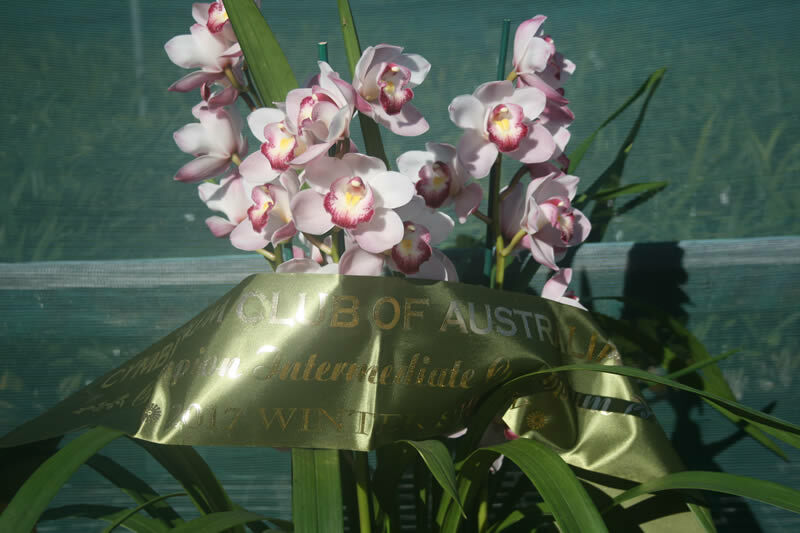 ‘A Sense of Self’ was Champion Intermediate and the overall Showbench Champion at the July 2017 Winter Show of the Cymbidium Club of Australia in Sydney . Here we are attempting to move its quality features to earlier in the season via the very early ‘Gemini’. There will be a range of flowering times and colours, but most of these would have great potential to make a mother happy on Mother's Day! April/June. Brown. As in H 18, ‘Gemini’ is being used to bring the fine qualities of ‘Nadeen’ forward in the season. Again, colours are a bit uncertain, but we are hoping for the darker colours that are rare at that time of the season. April/June. Yellow, 25% alba. Like ‘Gemini’ in the previous two crosses, ‘Birthday Boy’ blooms reliably in April. From its parent Katydid, ‘Birthday Boy’ carries the alba factor. 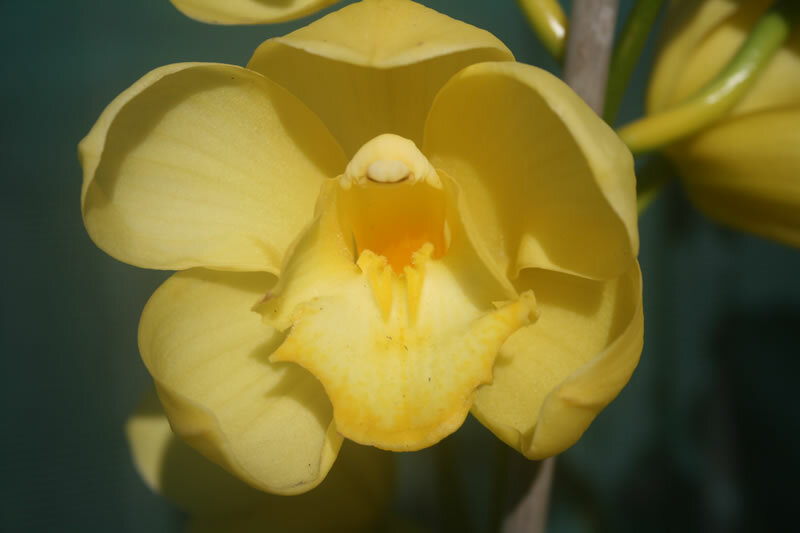 When Katydid is crossed with a yellow alba, mainly yellow progeny result (for example in the Katy's Gold grex), so we expect a similar colour result here. April/July. Green. Over the years we have crossed ‘Kermit’ with just about every green available to us, frequently with excellent commercial results. Here it will result in larger, more filled in blooms and clearer colour. April/July. Green. The fourth and final appearance on this list for ‘Birthday Boy’, all made possible by a very late spike. 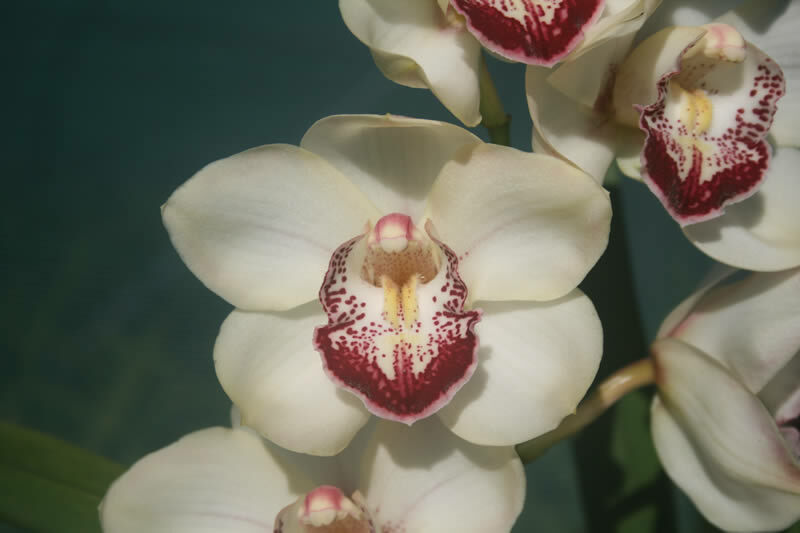 ‘Masterpiece’ is much used by the cut flower industry internationally and has excellent stem habit and bloom arrangement. May/June. Green. ‘Green’ flowers very early with flat, alba green blooms that are not very filled in. 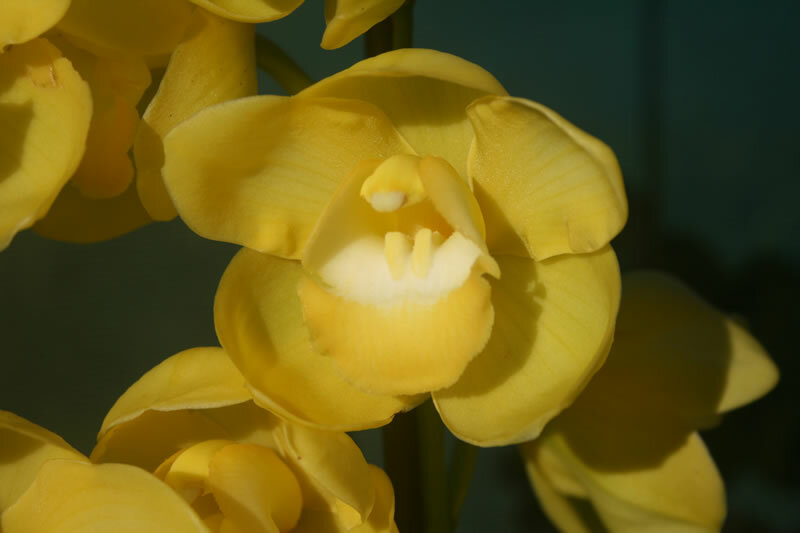 Carriers of the alba factor will be created by this match with ‘Discus’ that has very shapely fully filled in, but somewhat cupped, blooms. May/June. White. 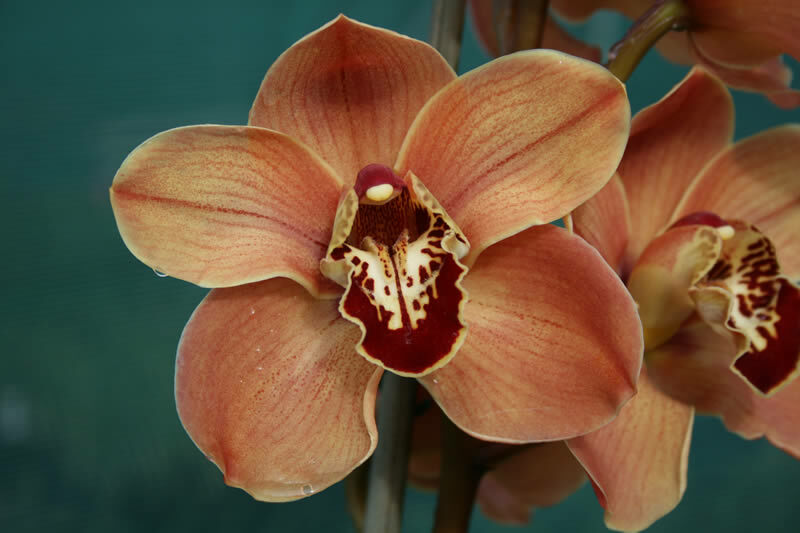 ‘Ikeda’ has never failed to produce good results for us over many years of hybridising. 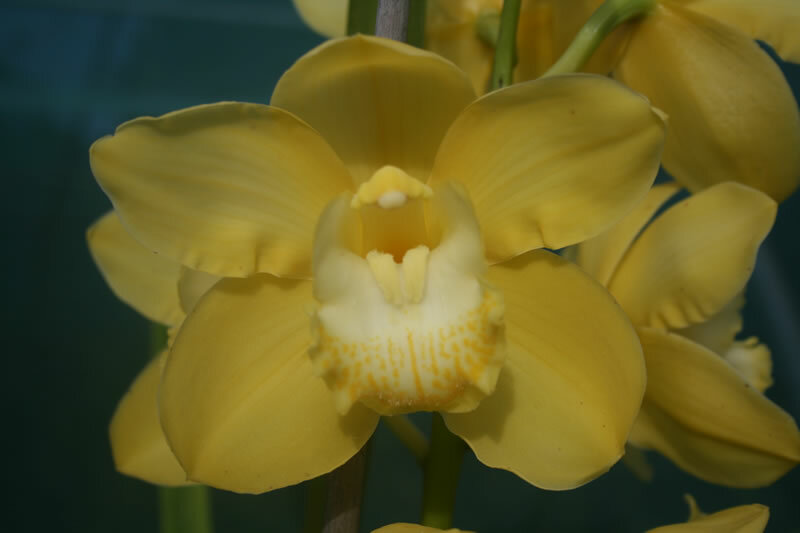 Particularly prominent good attributes are early flowering and excellent shape. 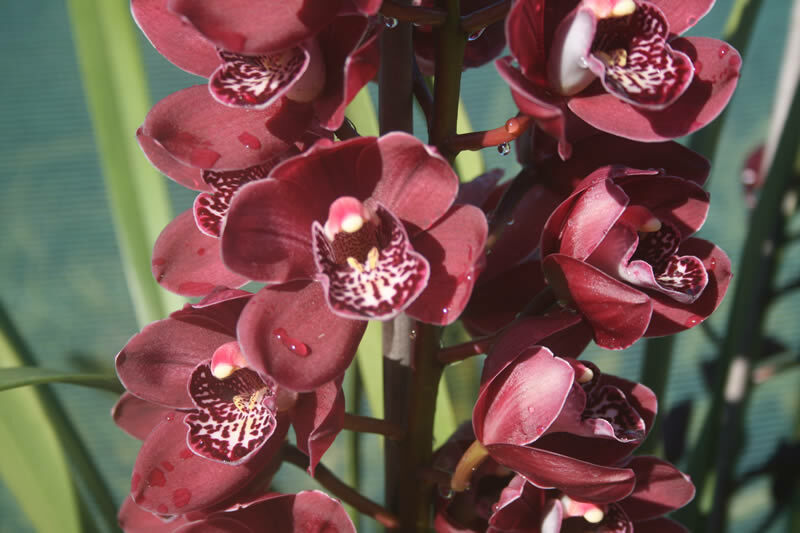 However, care must be taken, as we have here, to match it with a plant like ‘Ava’ that has tall stems and good bloom count. Perhaps the best grex from ‘Ikeda’ is Firetail Rock, four varieties of which are used in this list below. May/June. Orange. 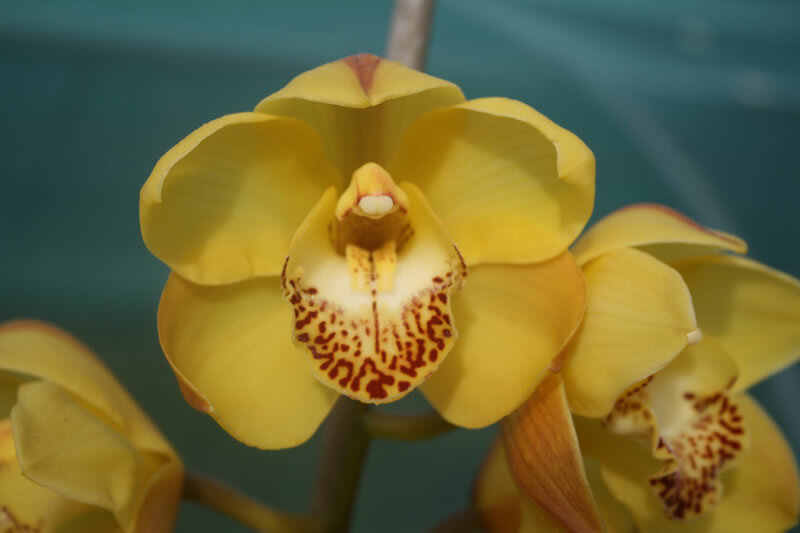 This cross may seem radical, but we have proven that matching an alba yellow with a very dark brown is a sure-fire path to vibrant dark orange blooms! May/July. Orange. In one of our very early lists we predicted that ‘Cassandra’ would prove to be an important parent and we are very pleased to report that it has produced at a high level for us. 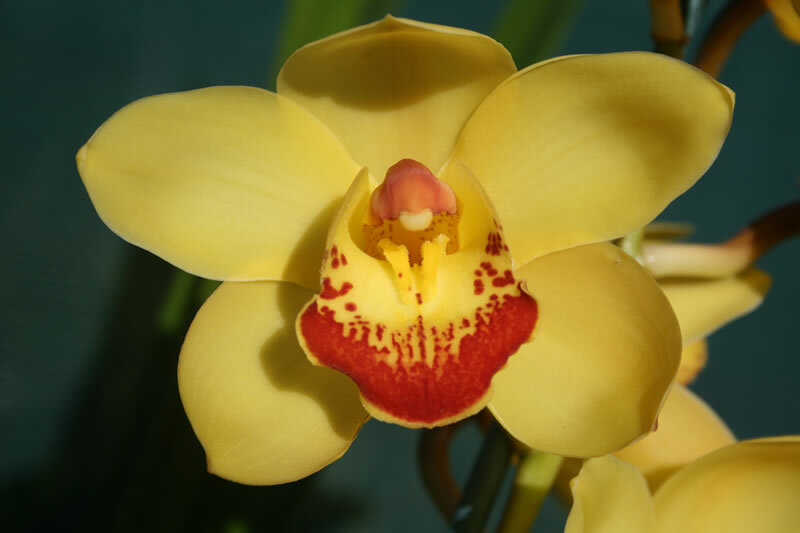 Firstly, we tried matching it with other orange blooms, but soon tried using a yellow as the other parent, and with Glowing Gold ‘Central’ we produced Firetail Avatar ‘Asgorath’ (registration pending) . In this case, using one of our production mericlones, ‘Chloe’, we are confident of an excellent early result. In H 07 above, Firetail Shire ‘Baby Khan’ is featured – it has ‘Chloe’ as one parent. May/July. Yellow. As well as seeking a good commercial outcome, there are two additional aims here - moving quality forward in the season and creating carriers of the alba factor for further breeding. June. 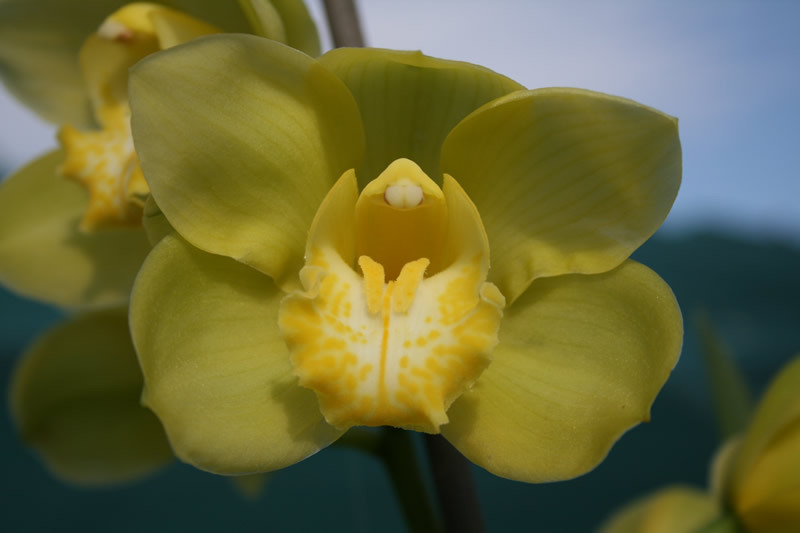 Yellow alba. 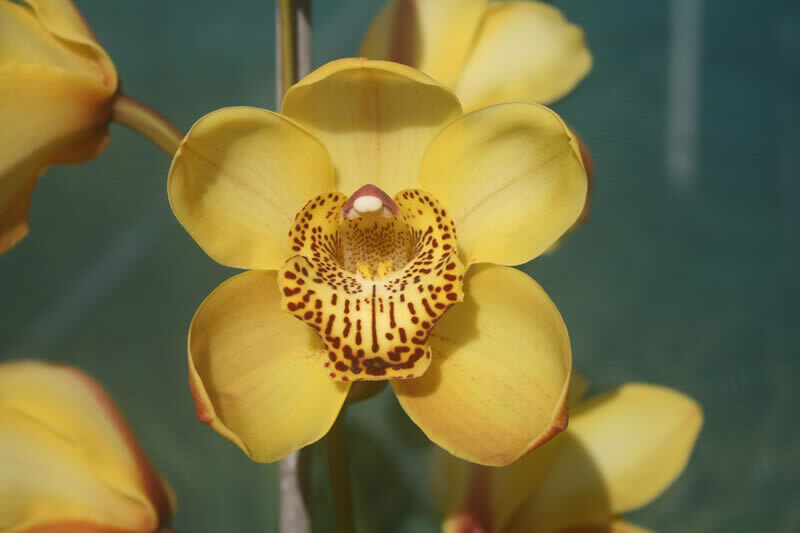 In our experience there are yellow albas with large blooms and others with small blooms, but few, if any, with medium sized blooms. Progeny from this cross will fill that gap with high quality blooms. June/July. Orange. For comments on ‘Cassandra’, see H 26 above and on ‘December Orange’, see H 06. 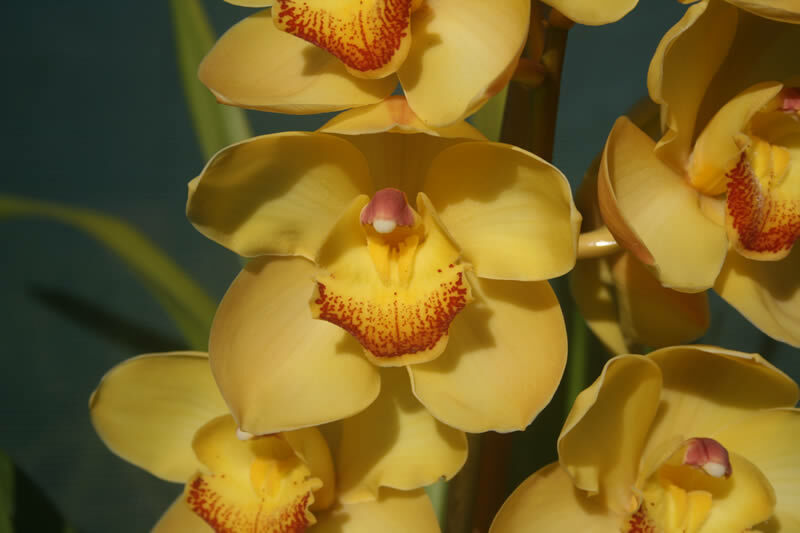 We expect masses of colourful blooms of above average quality. June/August. Orange. Expect a similar result to H 29 but later in the season. July/August. Red. 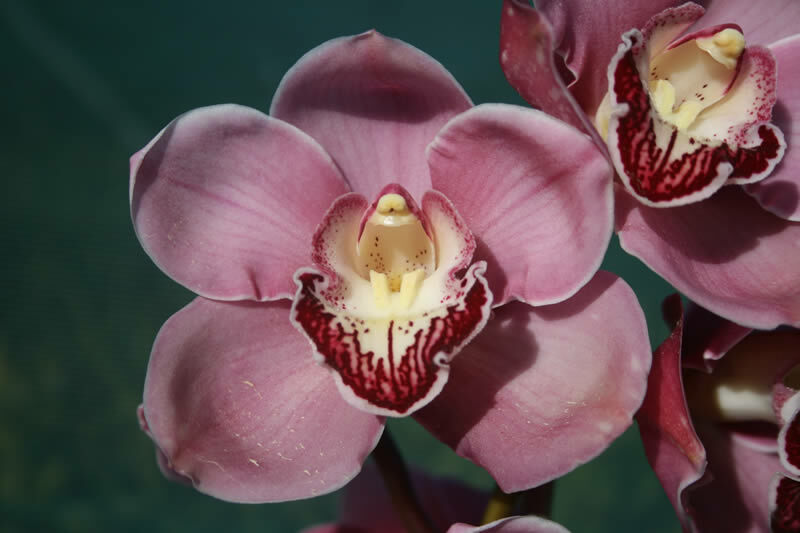 ‘Voodoo’ has marvellous self-supporting upright straight stems requiring no grooming but could have better colour. 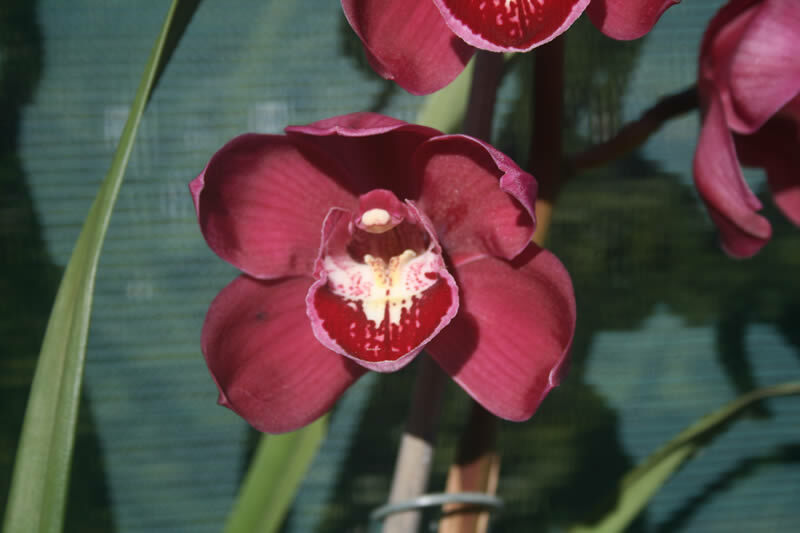 ‘Nikki Heat’ has strong attractive colour and a great labellum. July/August. Orange. We are fortunate to have one of the very best collections of orange flowering plants, many of which are exclusive to our nursery, and here are two of our newest! 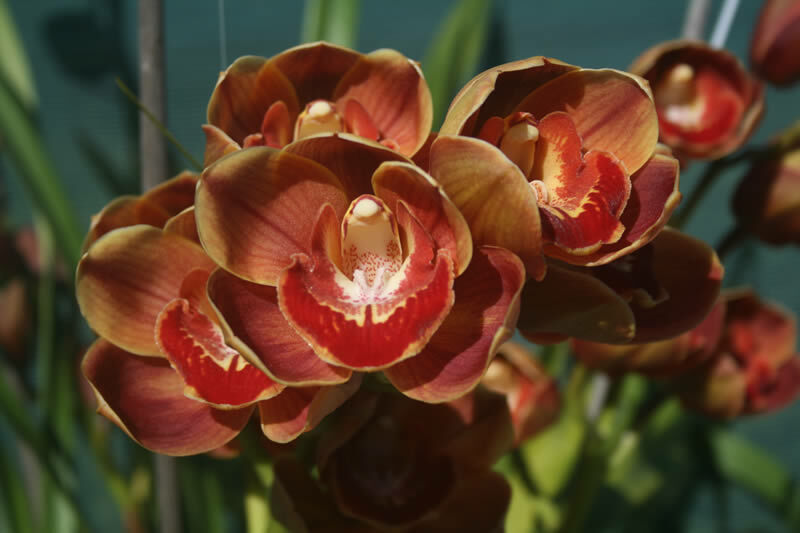 This crossing promises high quality blooms of intense orange later in the season. July/August. Green. These two parents complement each other's minor weaknesses. 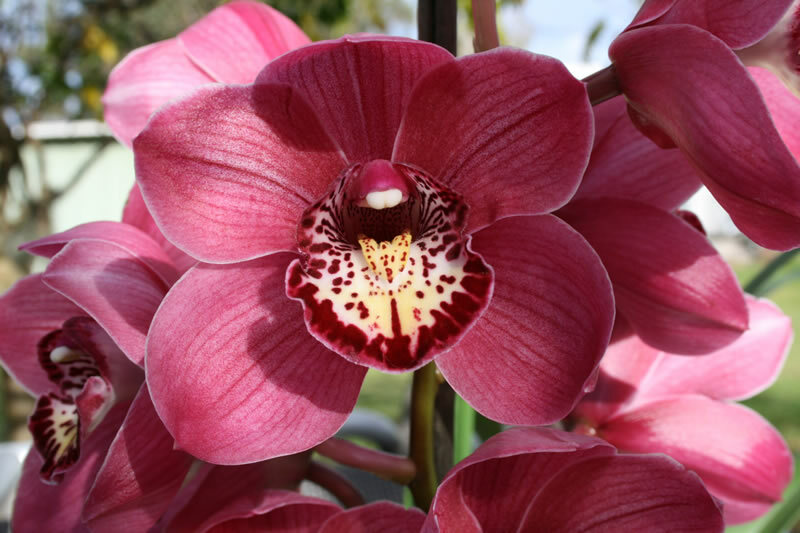 ‘Zoe’ boasts blooms with extra wide tepals but they are cupped and not a clear colour. 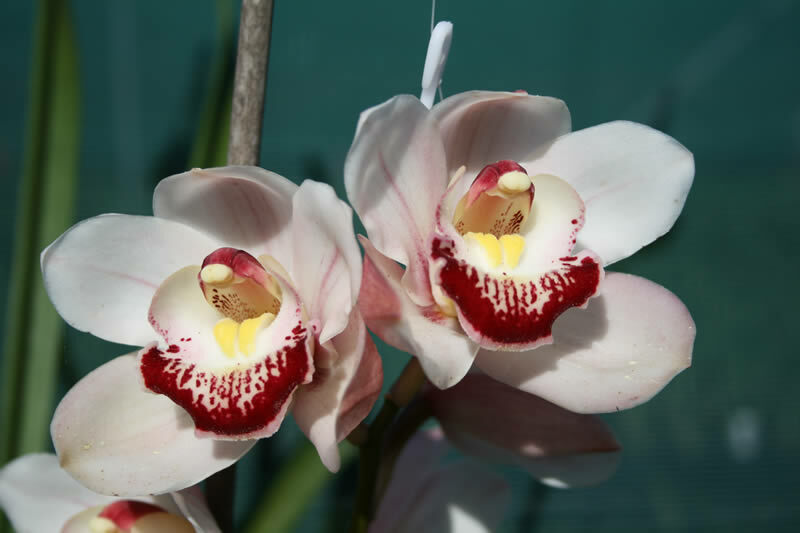 Conversely, ‘Kermit’ boasts flat blooms of a clear colour but they are not filled in. July/August. Yellow. Two plants with radically different parentage but having high productivity in common. 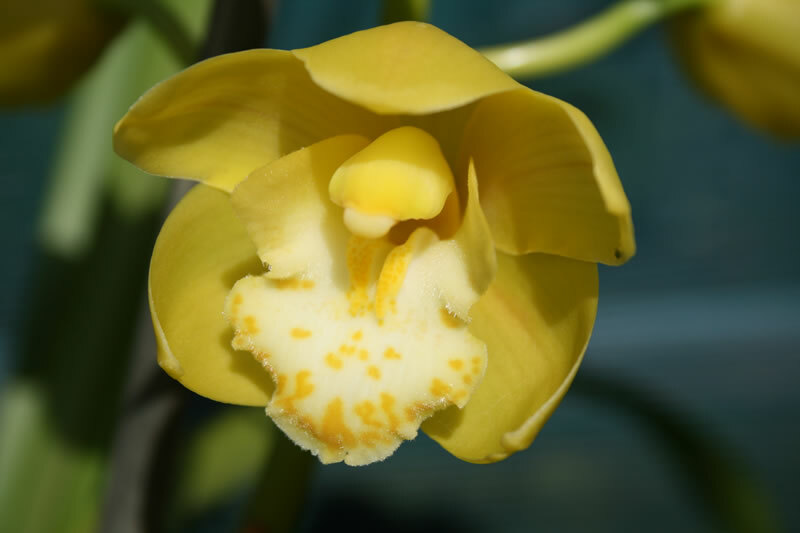 Blooms of intense dark yellow expected. July/August. Green. 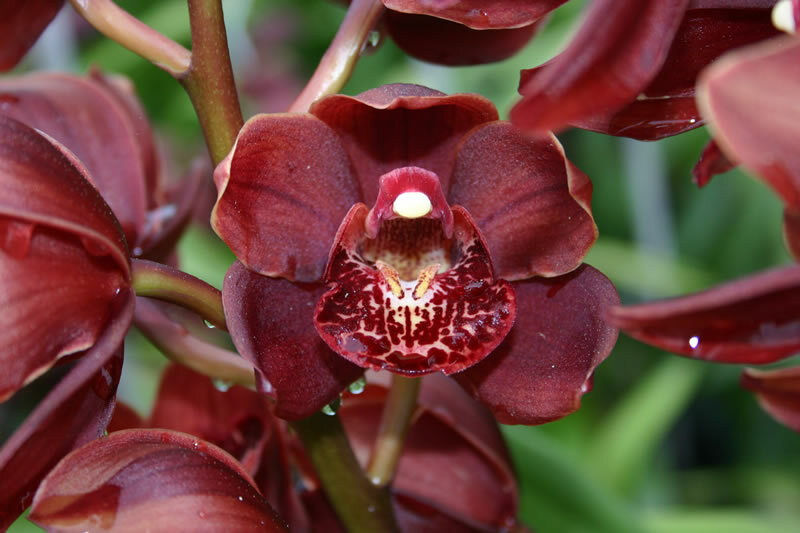 With Valley Orchids' high productivity red blooming pot plant grexes Valley Regent and Red Valley in its close parentage, ‘Hudson’ has blooms of a clearer green than one would think is possible. ‘Angus’ is already producing excellent outcomes and we expect the same here. August. Pink. 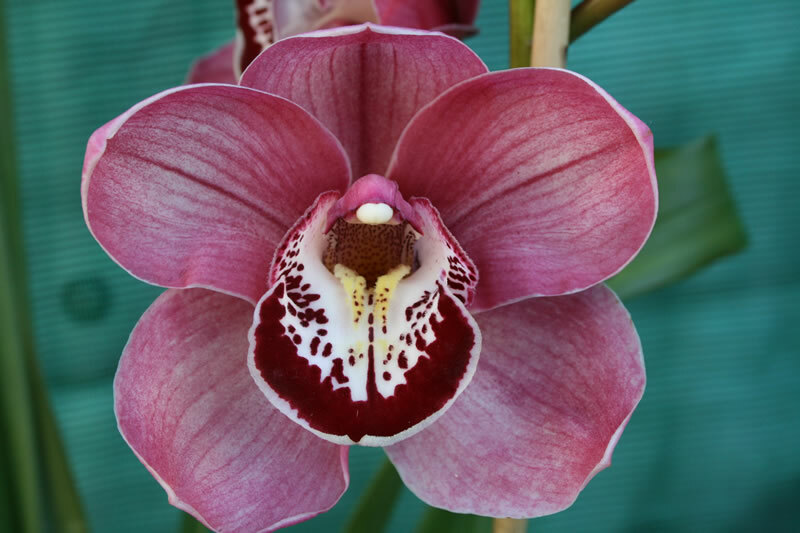 The Reggae Rose grex has an excellent track record already, particularly the variety ‘Lisa’ which produced, for example, Firetail Fedora ‘Stylish’ . We have no reason to doubt the success of this pairing with ‘Opal’. August. Green. Probably very similar to H 33, but later and filling a big gap in the colour/flowering time matrix. August. Red. Late reds of high quality are assured here. 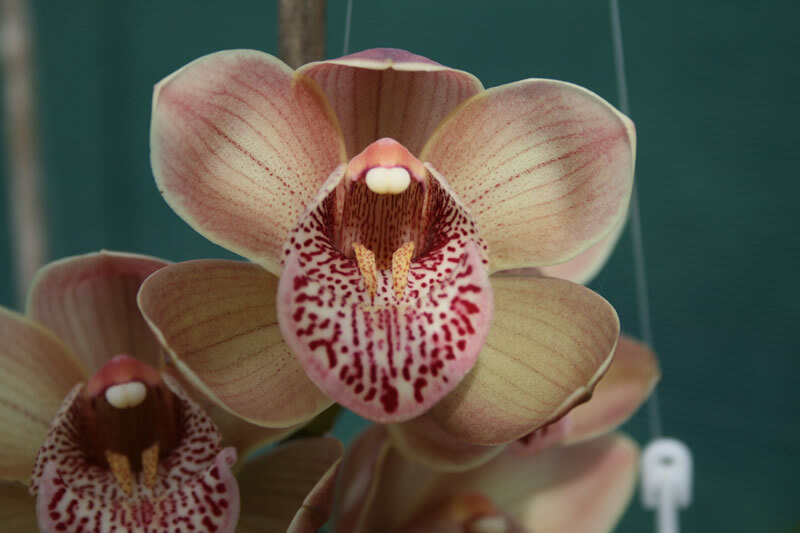 These will grow quickly and flower profusely like pot-plants but have the bloom shape and substance to succeed on the showbench. May/July. Red. 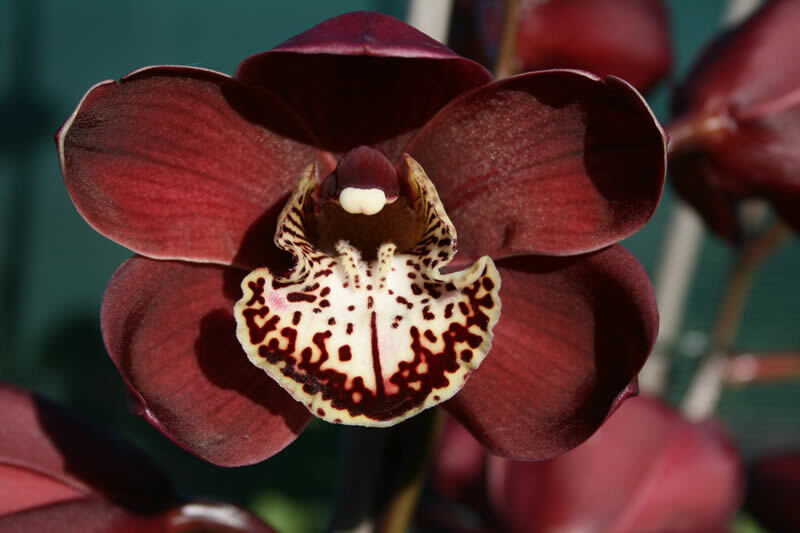 We try to have all colours and bloom sizes available throughout the season, but one gap that we struggle to fill is plants with early dark red blooms. This match-up promises to go some way towards filling that gap. June. Yellow. 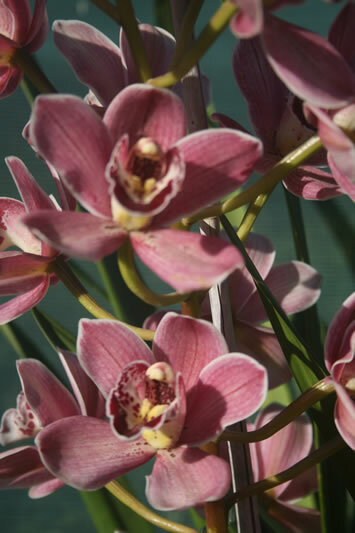 ‘Central’ flowers in June and is our signature plant, its bloom featuring on our website and business card. 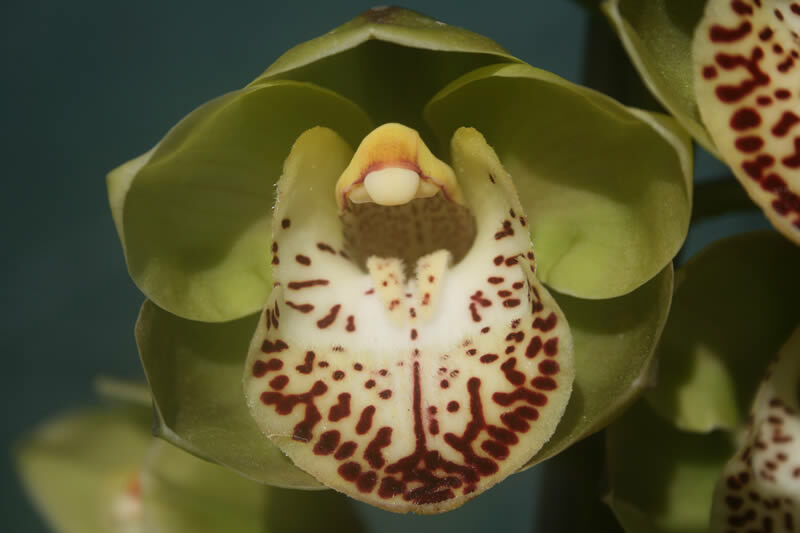 Its blooms are shapely, with wide tepals and labellum, and arrange well on strong upright stems. 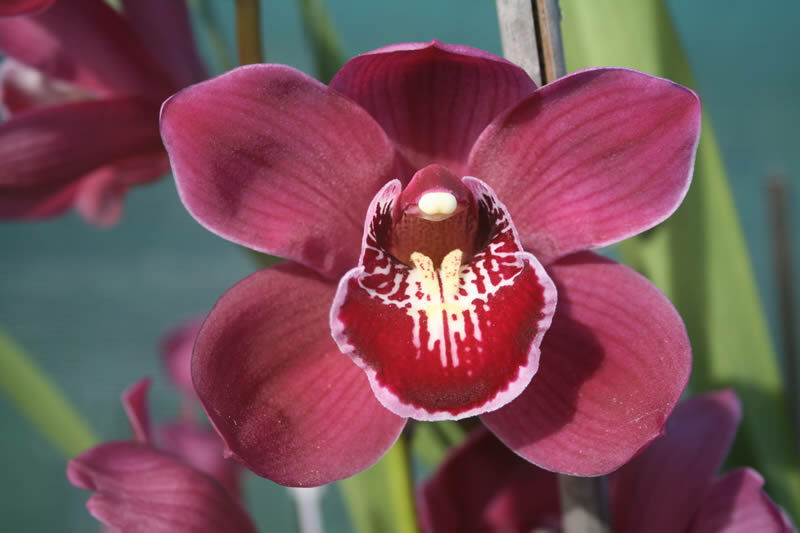 ‘Epicentre’ certainly is an eye-catcher with many excellent features, especially a big wide labellum with a vibrant red bar. June/July. Orange. See H 26 for our earlier comments on ‘Cassandra’. 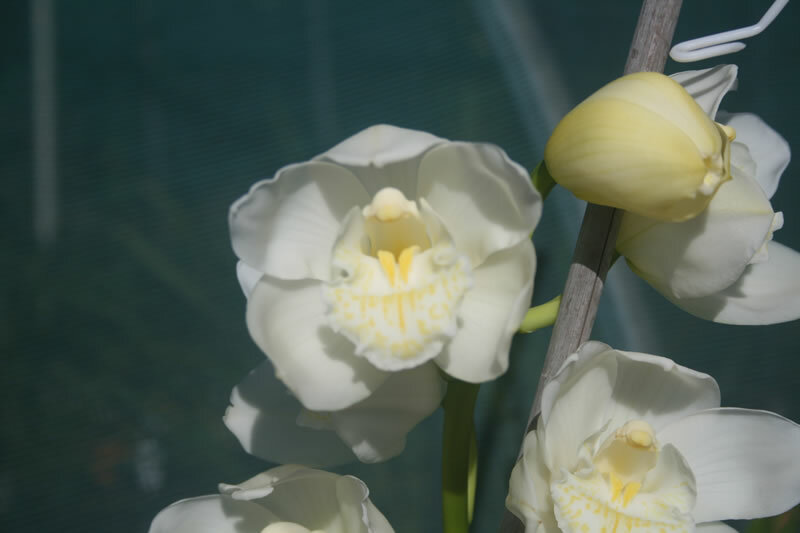 It has successfully produced fine results when crossed with a yellow alba. With very good shape and substance from both of these parents we expect strong contenders on the showbench here. June/July. Green. 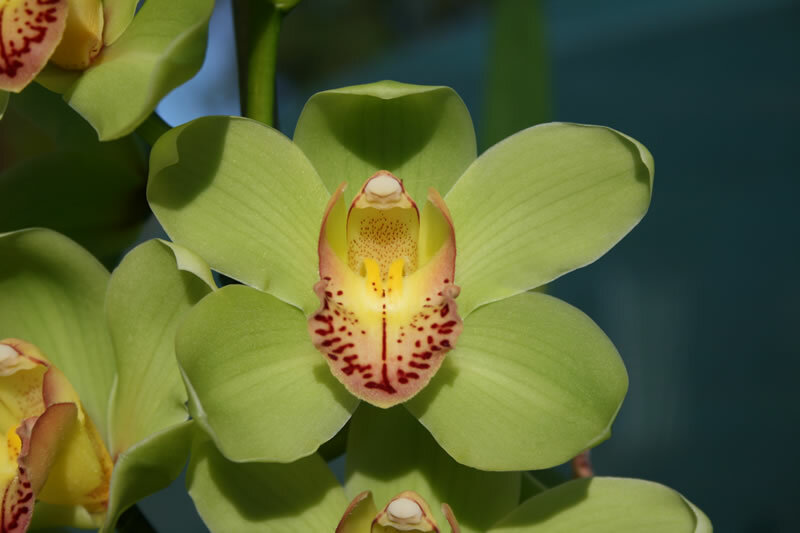 White blooms with green blooms may look adventuresome but history tells us that this type of cross often works extremely well. 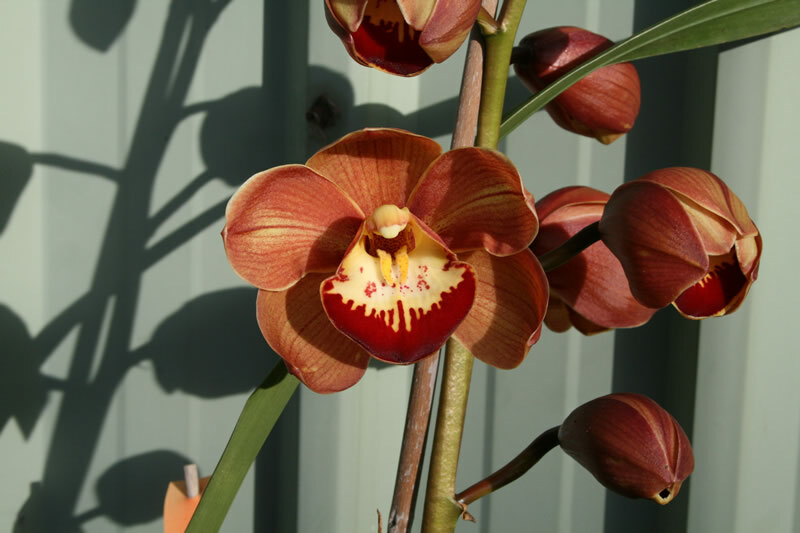 Whatever happens with colour, the progeny is sure to be productive, have good stems and shapely blooms. June/July. White. We have received a lot of positive feedback about ‘Around the Clock’, particularly for its flat, circular blooms. ‘Lisa’ brings slightly wider tepals. Both parents show very little sun-staining on the blooms. The best of these will be showbench titans. June/July. Green. Registered as Valley Van Hoogenband. 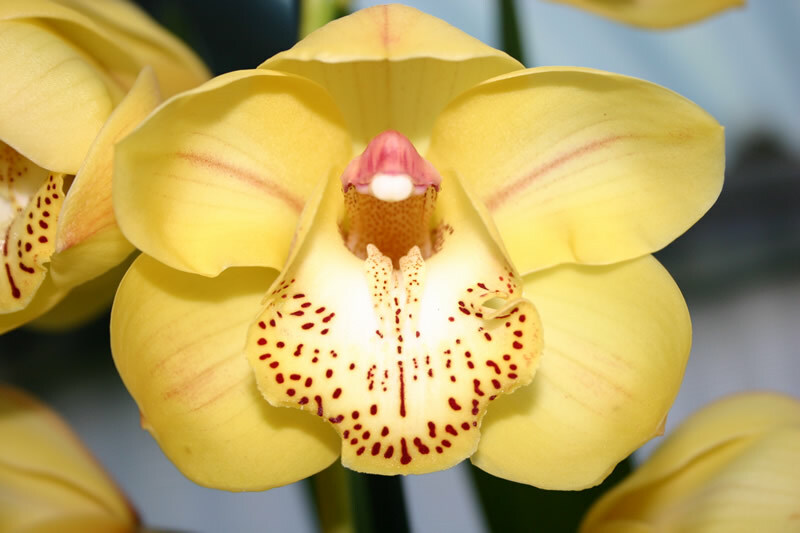 This is an exact remake of a successful cross by Valley Orchids from several decades ago – we have used ‘Discus’ in H 23. June/August. Red. No quibbles here! Intensity of colour guaranteed! They will grow quickly and flower freely. June/August. White. 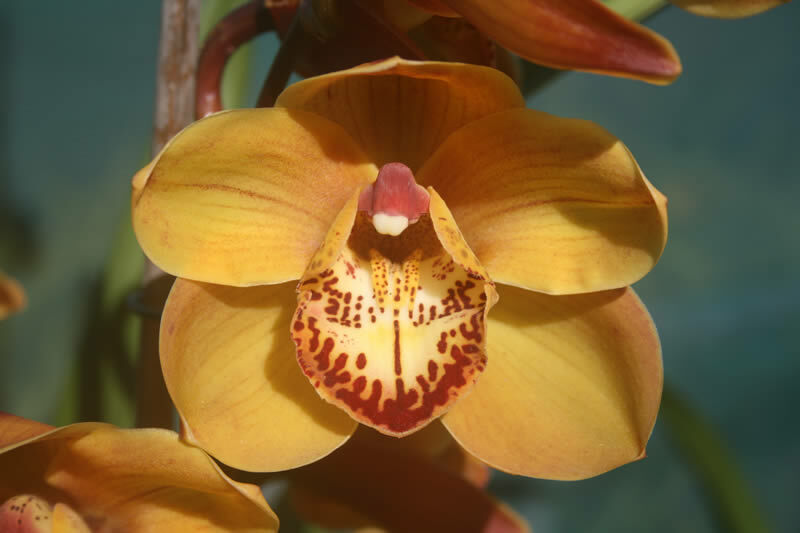 Both parents have blooms with wide tepals and colourful, wide labellums. 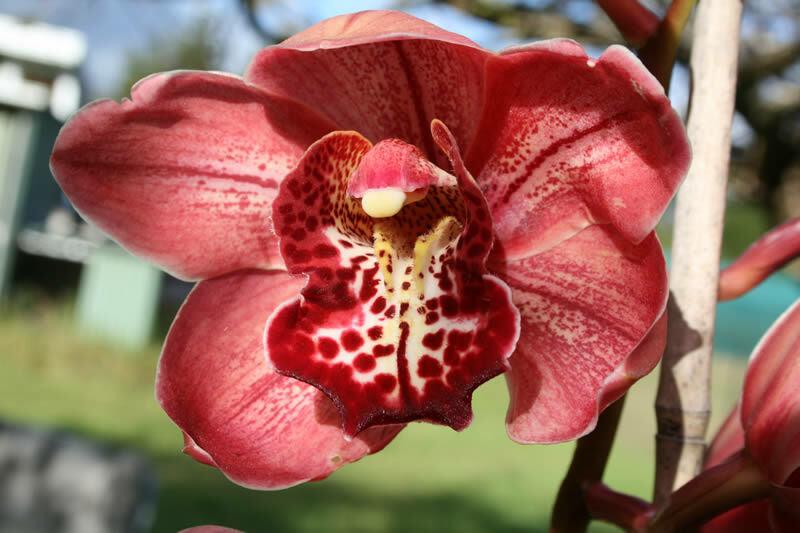 ‘Belinda’ has the pink Khan Flame ‘Raquel’ as one parent so there may be some pink progeny here. June/August. Yellow. Some deficiency in clarity and intensity of colour are perhaps the only minor failings of ‘Perfection’. 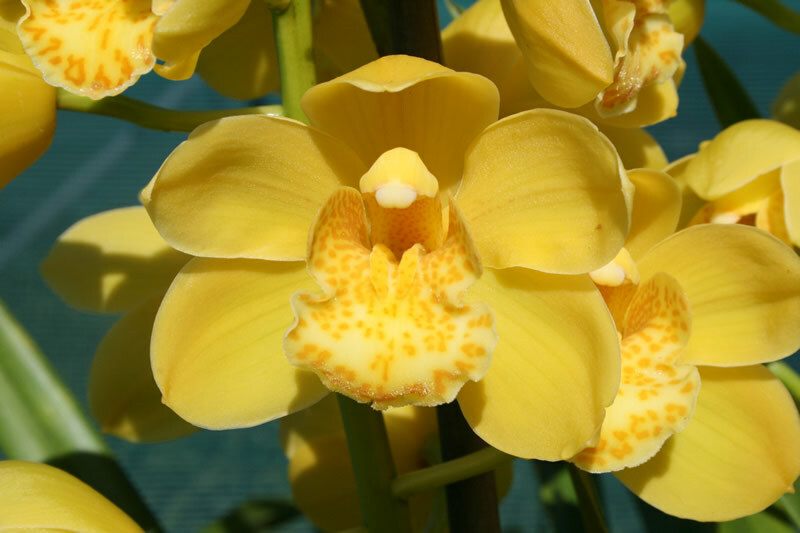 For ‘Jolene’ these attributes are strengths – clear, intense golden yellow blooms with eye-catching red bar on the labellum. June/August. White. 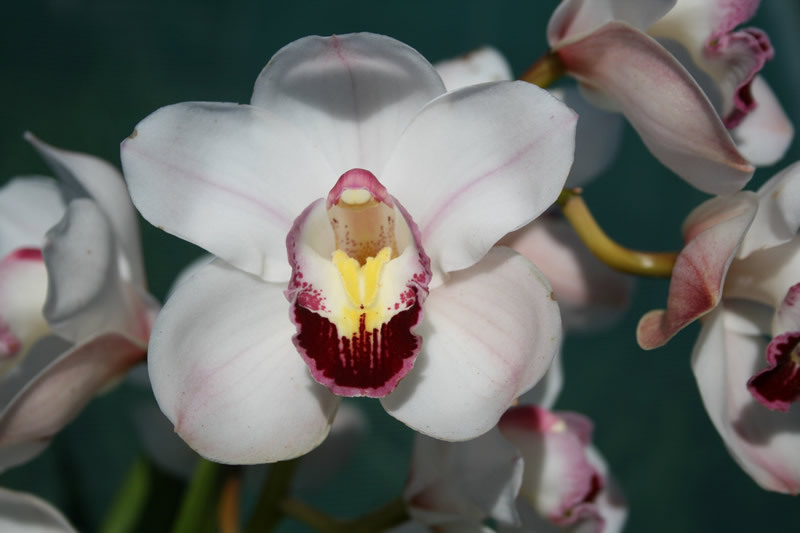 We expect top quality white blooms on plants that grow and flower very well. June/August. White. It is very hard to imagine that these parents will produce anything other than big, flat, round blooms well arranged on tall stems. In other words, showbench specials! June/August. Yellow. 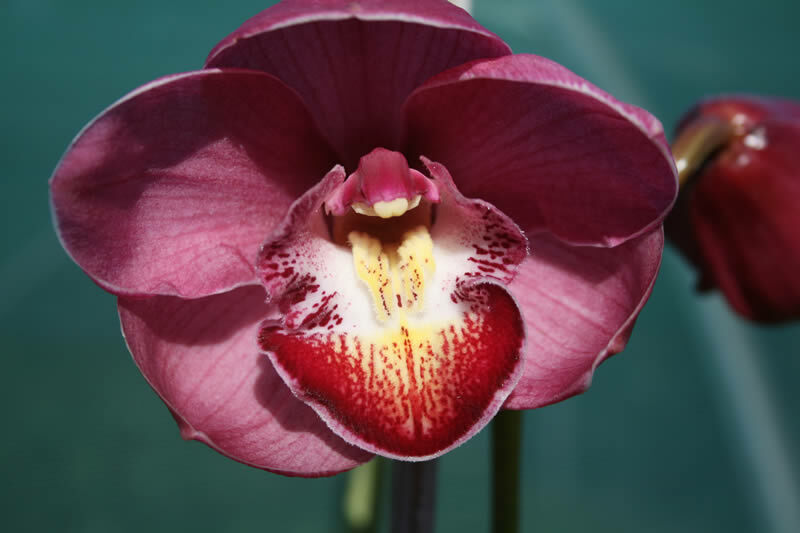 We have acknowledged before that colour is a dominant aim of much of our hybridising, and here is a perfect example. Other aims (ease of growing and abundance of blooms) are also well catered for here. June/August. Green. See H 35 for comments on ‘Hudson’. ‘Kermit’ always performs as a parent for us, bringing clarity of colour and flatness to blooms, good foliage and stems - just about anything that you desire, really! July. Orange. 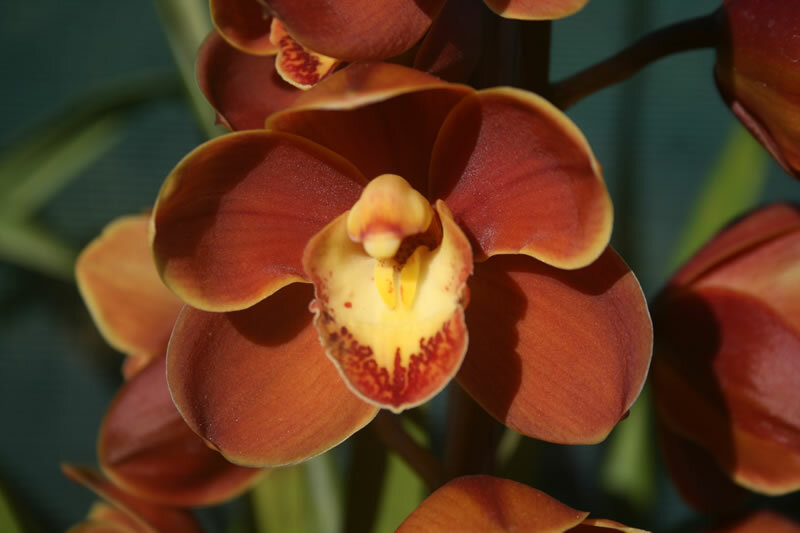 We have used the strategy of matching alba yellow ‘Skyhook’ with a brown to produce vibrant orange blooms. We are confident that the strategy will be successful again, particularly given the very good shape characteristics brought by ‘Jackson’. July/August. Pink. You know that if a plant has the varietal name ‘Dural’ it has had the honour of having that name bestowed upon it by the great Gordon Giles. 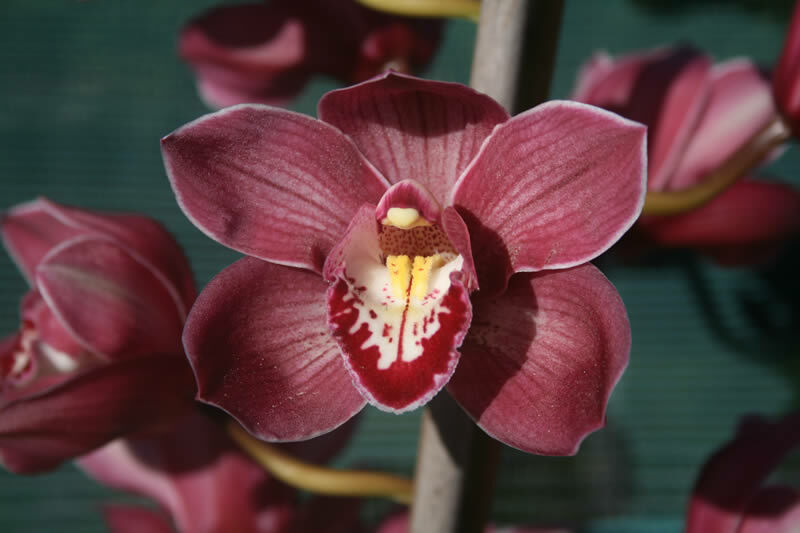 Although it has blooms of excellent shape and substance, ‘Dural’ has a reputation of being a little shy of flowering and having a low bloom count on each stem. These attributes are absolute strengths of ‘Jordan’ which is not too shabby in the bloom shape and substance categories either. It all adds up to a guaranteed fine outcome. July/August. Pink. Another Gordon Giles special here teamed with our fantastic ‘Bella’ which has had so much success for us producing quality whites (for example grexes like Firetail Rock and Firetail Attract). We expect lots of quality light pinks in mid-season. July/August. White. 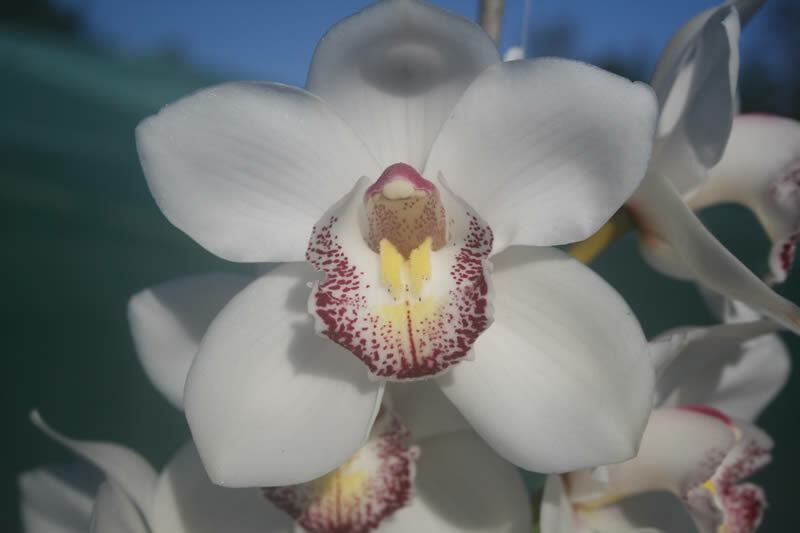 We have three Snow Storms and ‘Debra’ has the best shaped blooms. 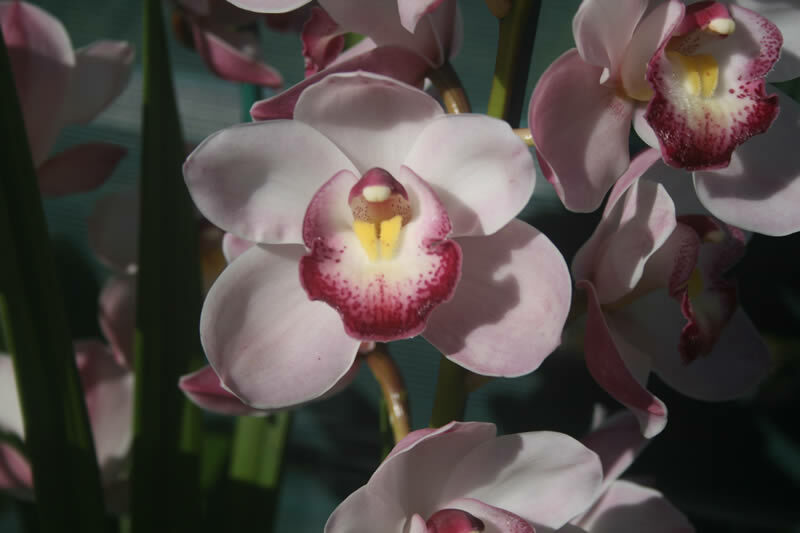 ‘Marianna’ also has very shapely blooms so we can be assured that the progeny will have good shaped blooms. They will also be carriers of the alba factor. July/August. Yellow. 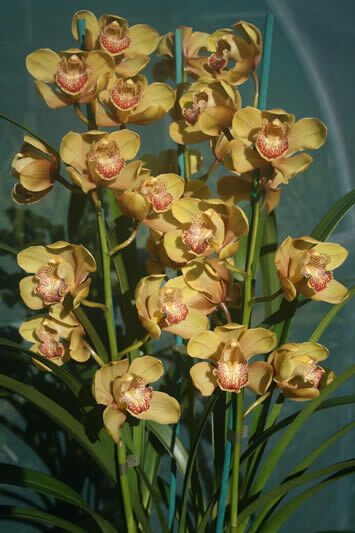 ‘A-Stound’ comes from Bryants Orchids and has stunning blooms of the highest quality in mid-season. 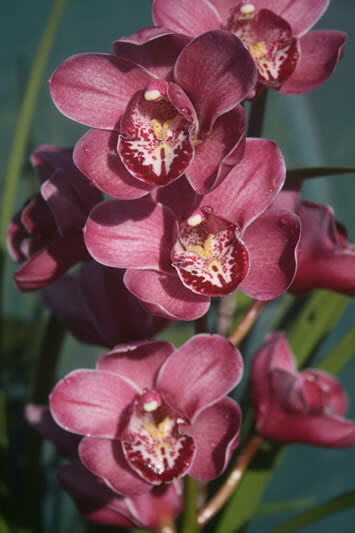 ‘Kurt’ flowers later, so the plan is to spread that high quality to later flowering progeny. July/August. White/Pink. These will not have clear white blooms but with pink splashing on the sepals and pink edged labellums they will be very attractive. Many will have excellent shape and substance. July/August. Yellow. 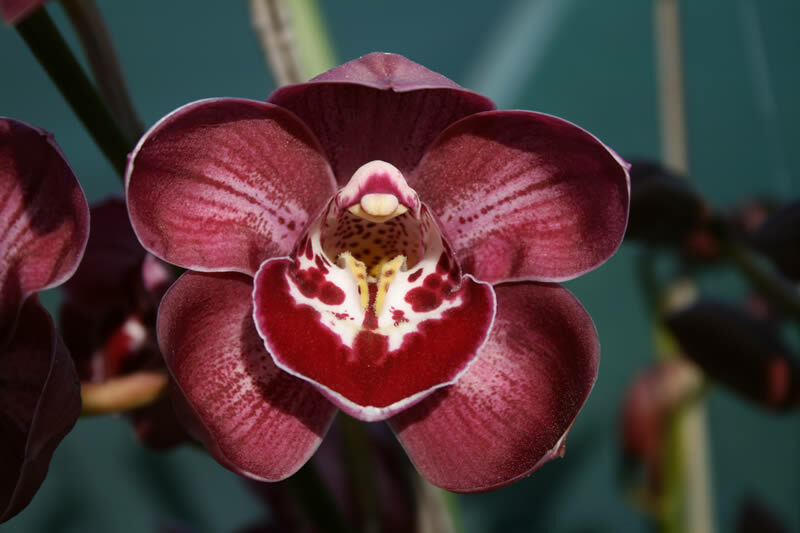 We have been hybridising with ‘Jocelyn’ for well over a decade and have been regularly rewarded with clarity and intensity of colour. 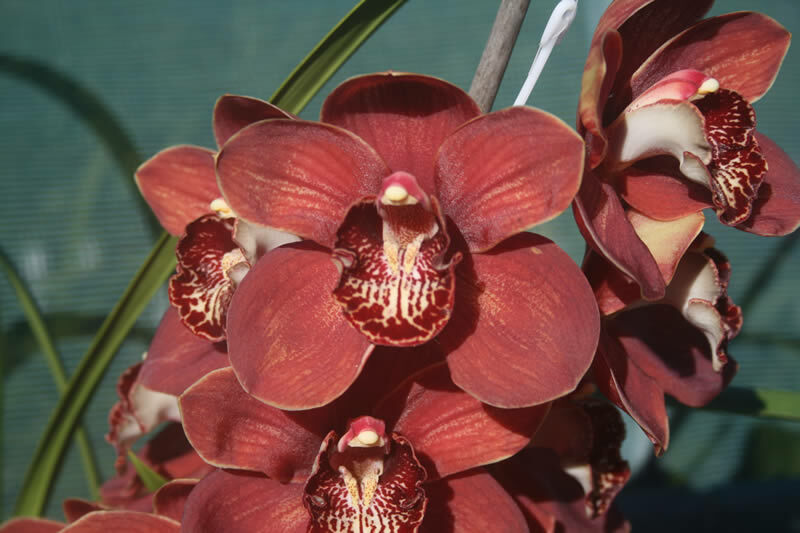 For example, it is one of the parents of our fantastic Firetail Fanfare grex including varieties ‘Jolene’ and ‘The Golden One’ . 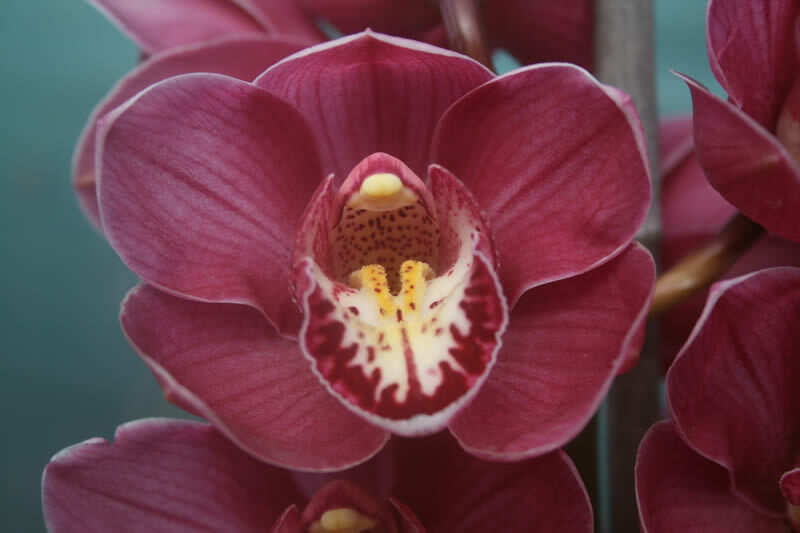 ‘Tigress’ has the naturally upright dorsal sepal that is the main contributor to circular shape. We think these will be very good indeed! July/August. Orange. See H 26 for our earlier comments on ‘Cassandra’. Here its flatness perfectly complements the cupped ‘Hamlet’ and it will not wash out the colour intensity that ‘Hamlet’ has in abundance. 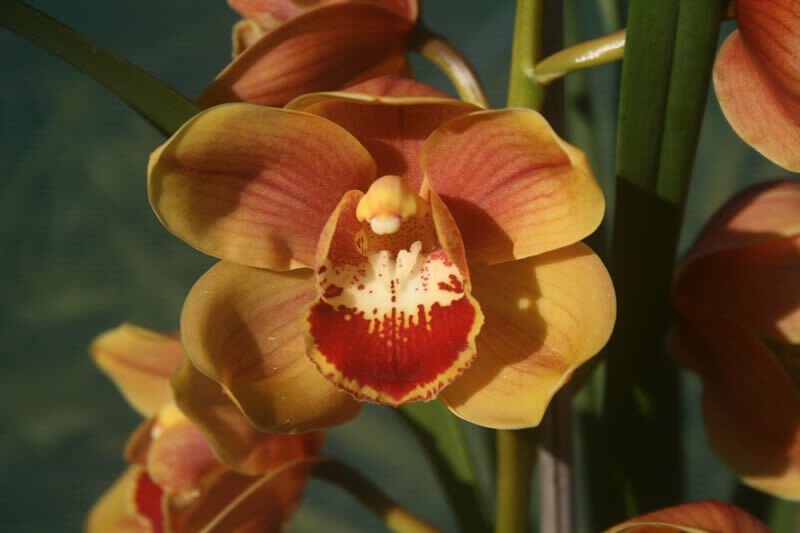 We expect wonderful late and shapely orange blooms held above the foliage. July/August. Green. We have to say that we are surprised that no one has ever registered this crossing of two famous green grexes. 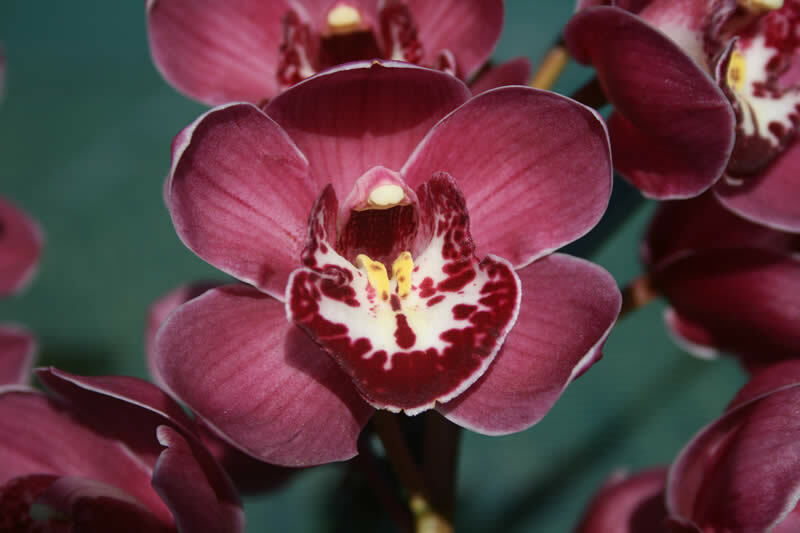 ‘Masterpiece’ is used extensively by the cut flower industry. At the time of writing 57 registrations have been made with Valley Zenith as a parent. 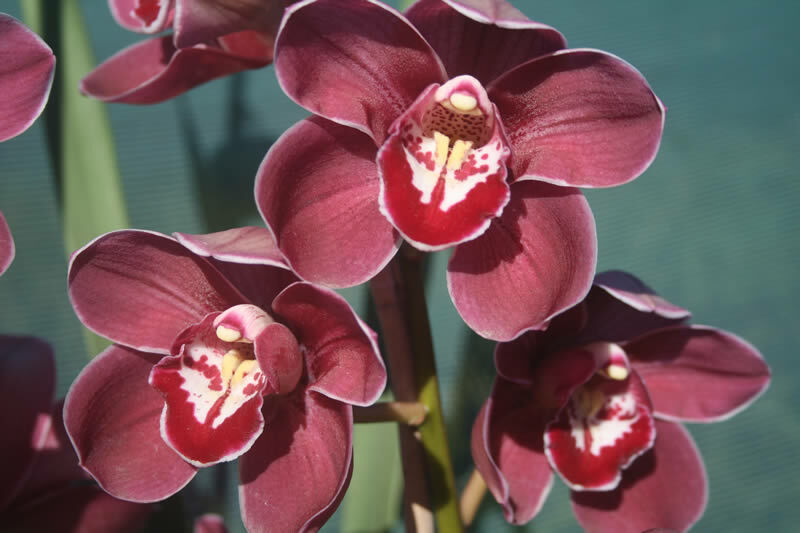 Variety ‘Quattro’ is exclusive to our nursery and is very productive with shapely blooms. A high-quality outcome can be expected. July/August. Brown. All of our Blazing Carrot plants are flowering machines, effortlessly producing masses of blooms on strong upright stems. Both of these parents have brown blooms that have an upright dorsal sepal, ensuring that we can expect flat, round blooms on most, if not all, of the progeny of this crossing. August/September. Red. 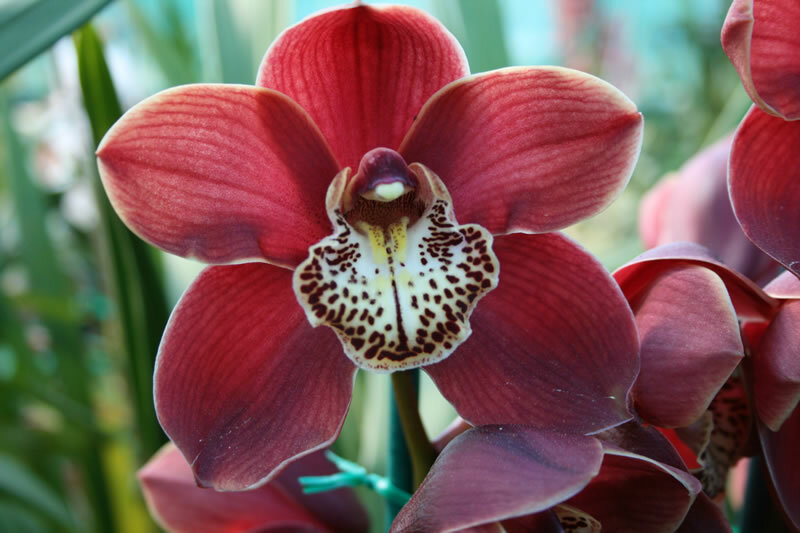 We expect highly productive, fast growing plants with rich red blooms of good shape to finish off the season with a flourish! All flasks contain at least 25 plants and are priced at $45.00 each (including GST). Freight is extra at cost. Payment will be requested when buyers are advised that an order is ready for collection or posting. 10% off the whole order if 50 or more flasks ordered. 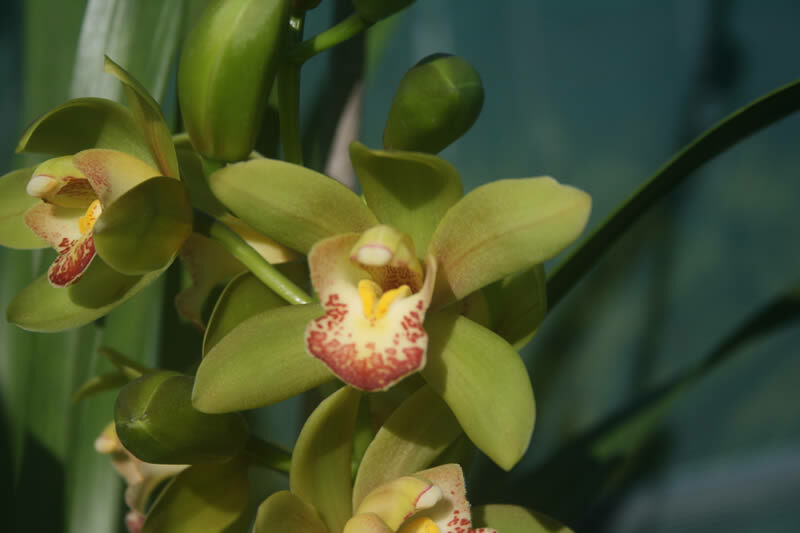 We are Australia's leading cymbidium flask exporter. Orders must be for a reasonably substantial number of flasks. We use a box that holds 21 flasks and regard that number as the minimum order. Larger orders should preferably be in multiples of 21. With their order, the buyer must provide us with a current import permit because it greatly simplifies our task of obtaining export documentation. An import permit provides the exact wording required on the phytosanitary certificate, with any required declarations, in a one page document, a copy of which can travel with the shipment allowing the airfreight company, the airline, and the importer's customs organisation to see that everything about the shipment is satisfactory. It should be noted that, in many ways, getting a clearance to export from Australia is significantly more difficult than getting a consignment cleared for import into your country, because we will have already done all of the hard work that ensures that import clearance is a simple formality. This paragraph does not apply to export to New Zealand because their requirements are well known to the Australian authorities. Prices quoted are in Australian Dollars. Australian sales tax does not apply. Flasks of 25 plants for export are priced at $Aust41.00. 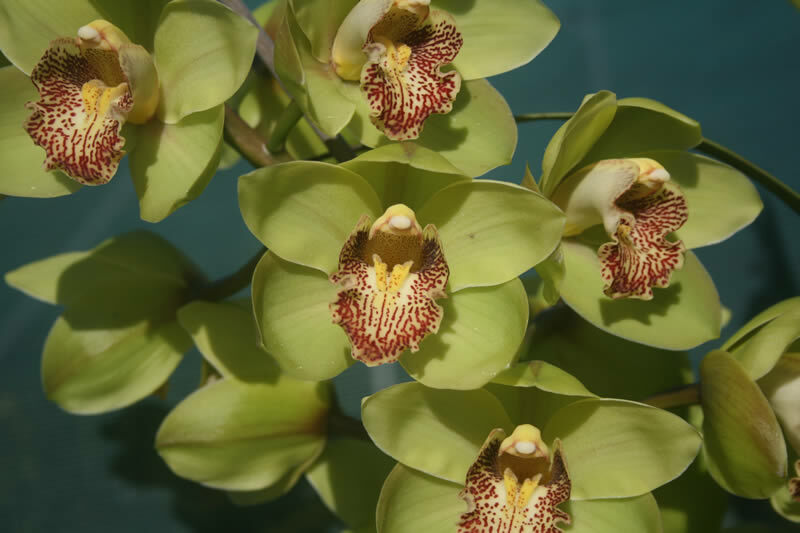 To reduce freight costs we make flasks of 35 plants available at $Aust54.00 each. Freight is extra at cost. Fees for quarantine inspection and phytosanitary certificates are extra at cost (expect up to about $Aust272.00). No discounts apply. All export orders should be prepared and submitted by e-mail. All flasks will be processed at Pauline’s Laboratory Service in Moana, South Australia. 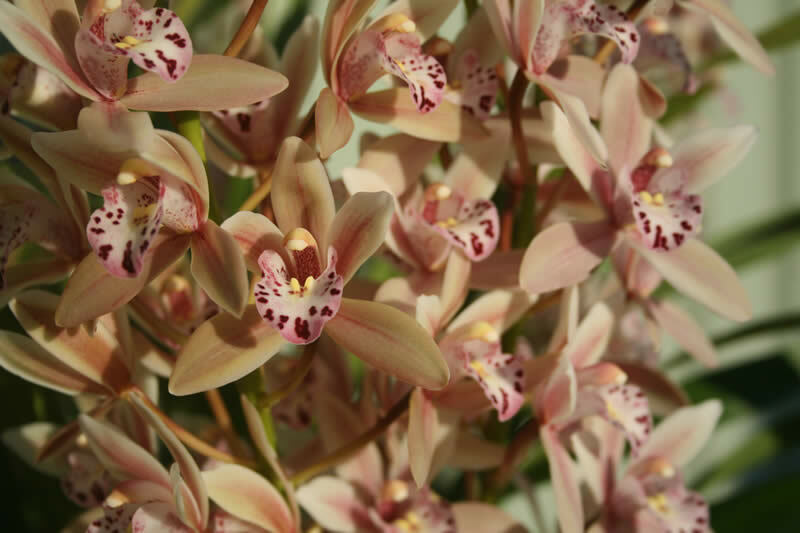 Pauline has offered to deliver flasks directly to South Australian buyers at meetings of the Cymbidium Orchid Club of South Australia. Buyers wishing to avail themselves of this option should so indicate at the time of ordering. All orders are met in the order of receipt. We will advise of any shortage upon orders being received or upon later advice from Pauline. 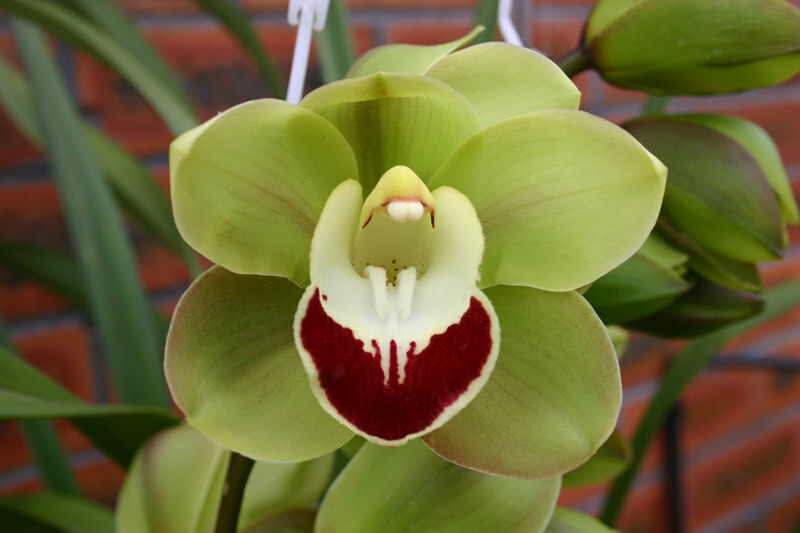 We aim to make all crosses with tetraploid plants. 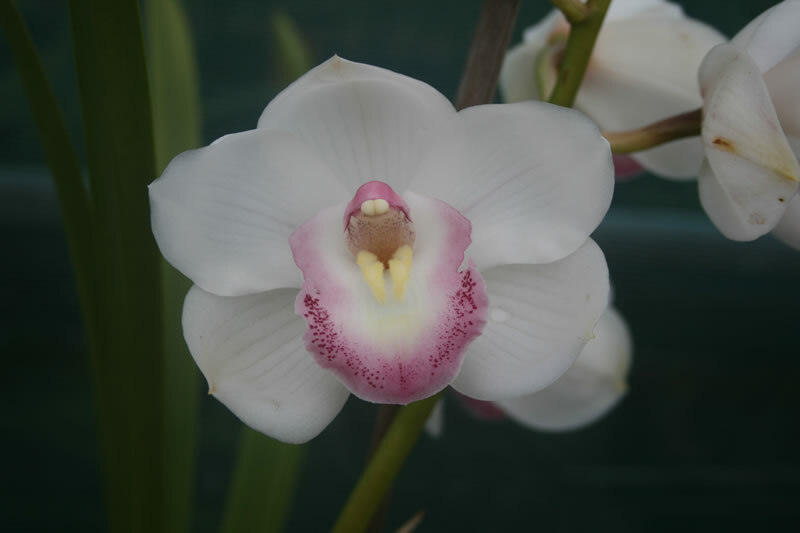 On the rare occasion where we have any doubt that a plant is tetraploid, this will be indicated in the description. 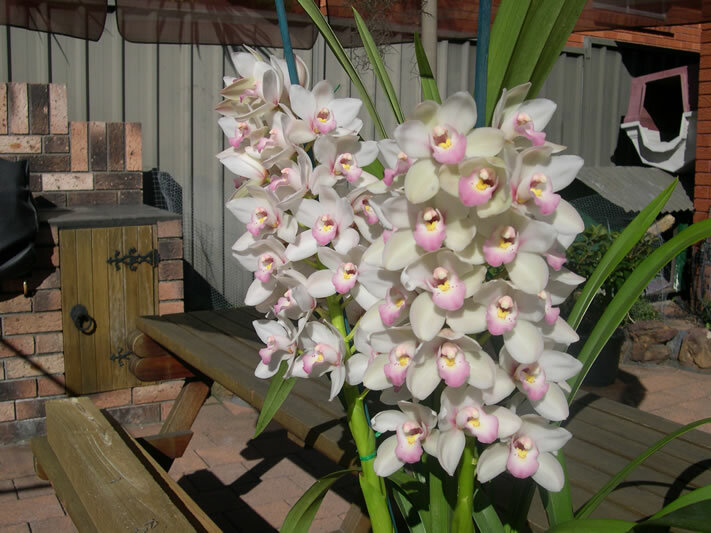 Flowering times mentioned in descriptions are those that we experience in Nowra, New South Wales. Nowra is about 150 km south of Sydney and experiences very similar conditions to Sydney. Nowra is at a latitude of approximately 35 degrees South. Cross descriptions give an indication of our expectations, but there will naturally be variations and we can give no guarantees. For details of new registrations, please go to our Registrations page.